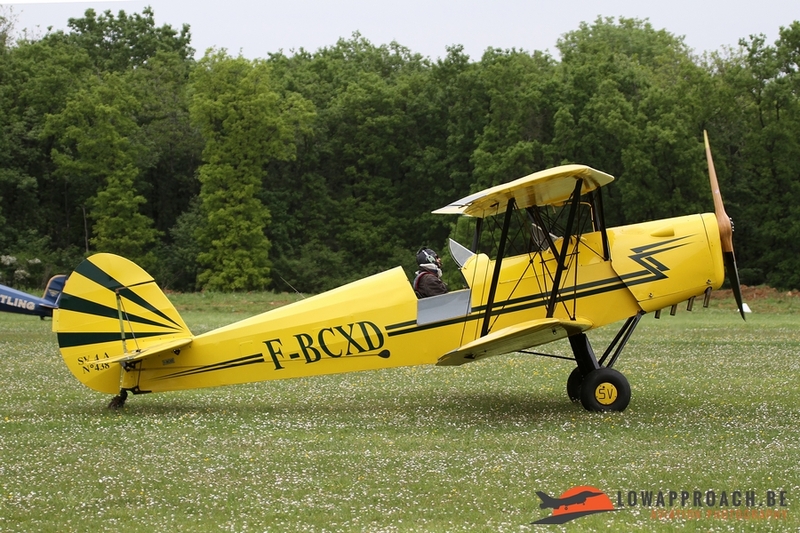 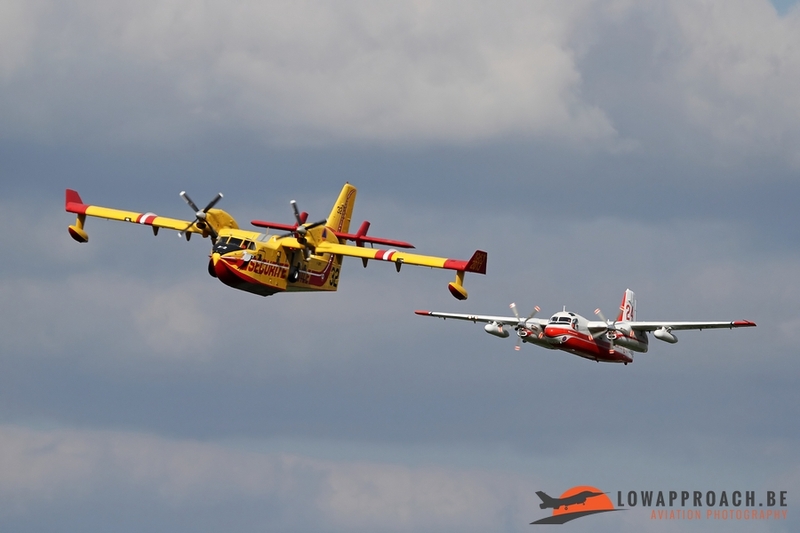 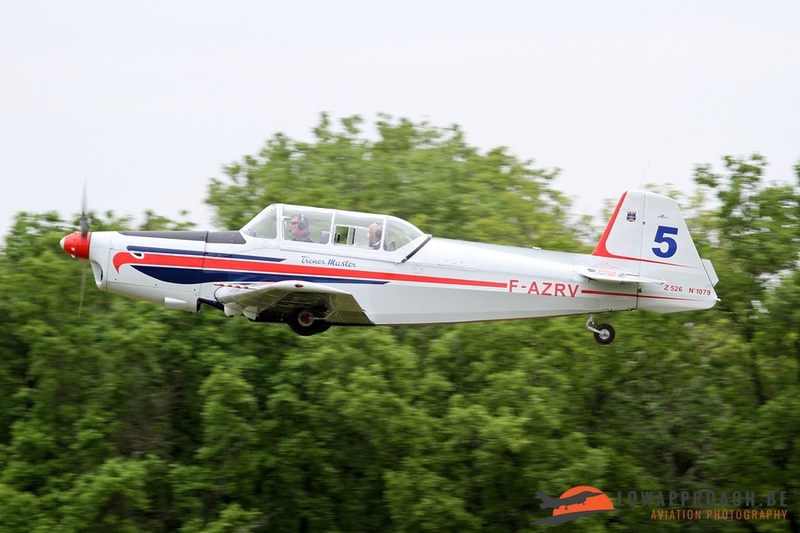 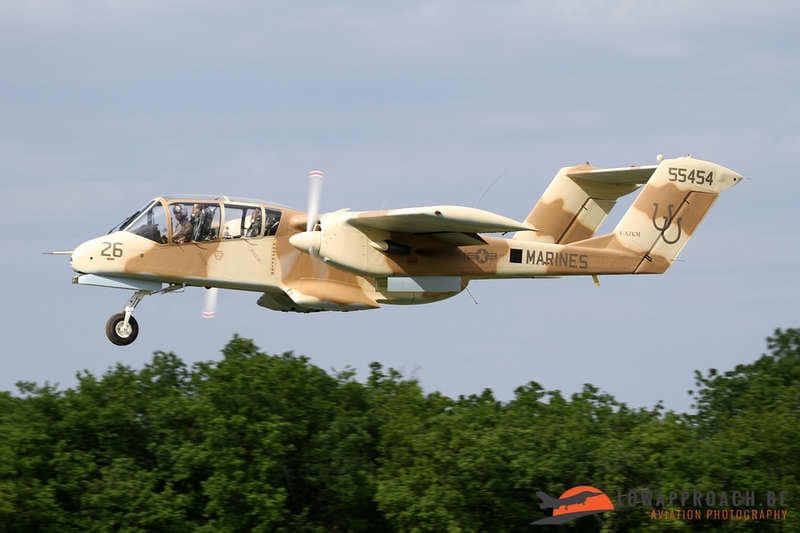 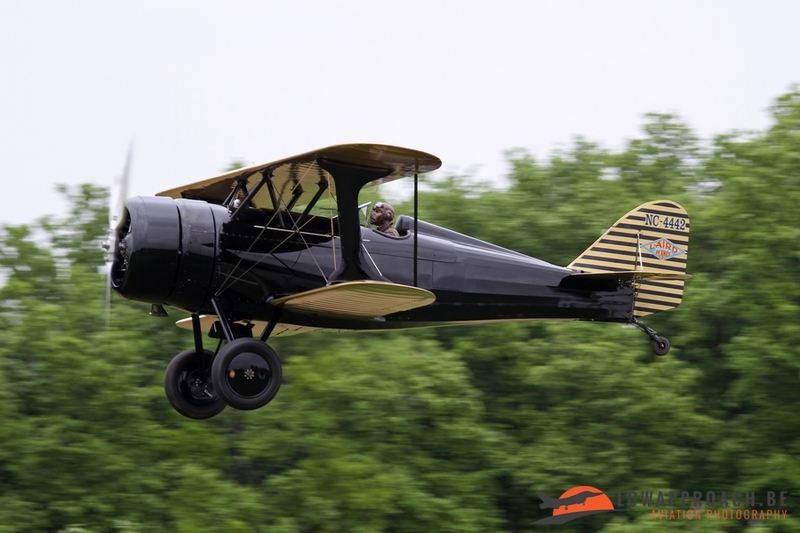 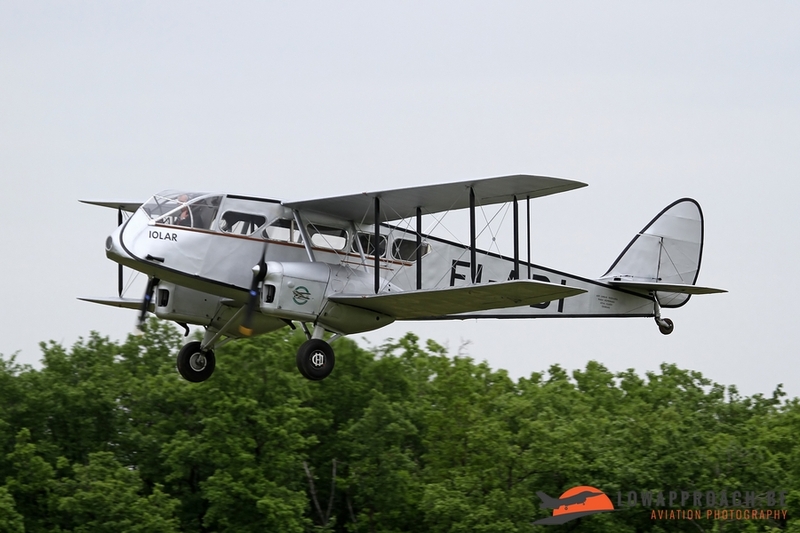 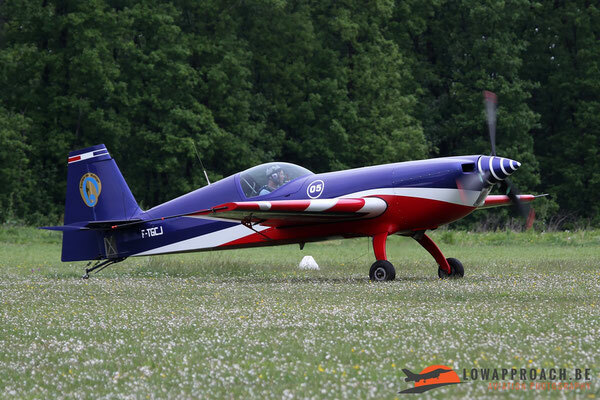 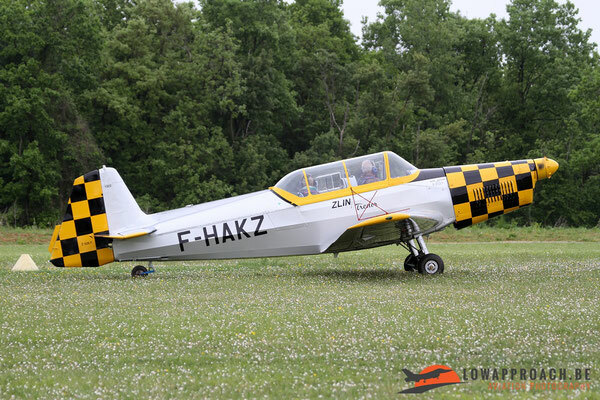 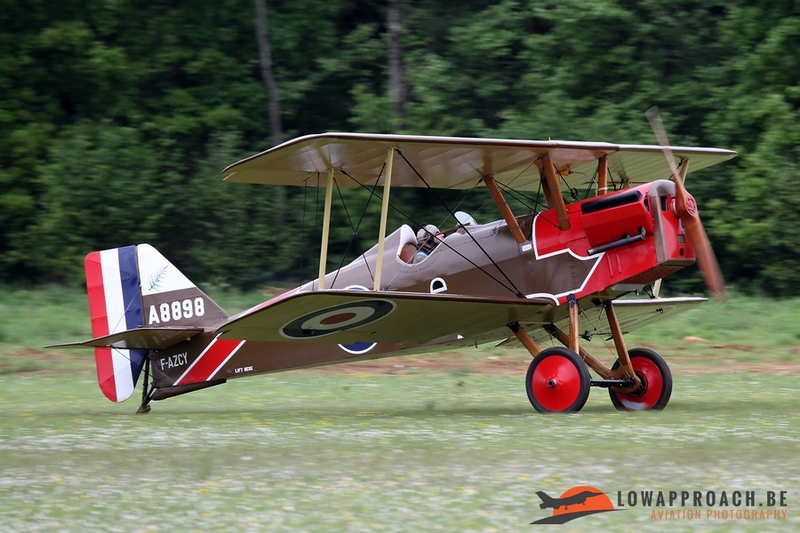 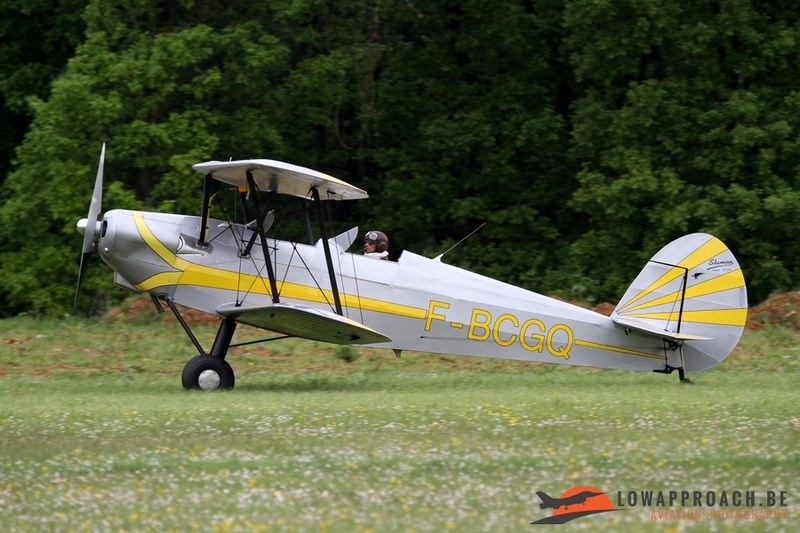 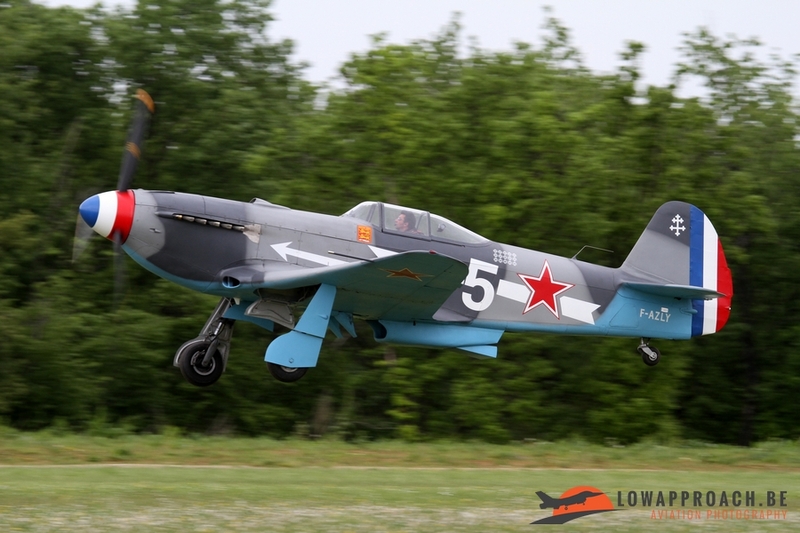 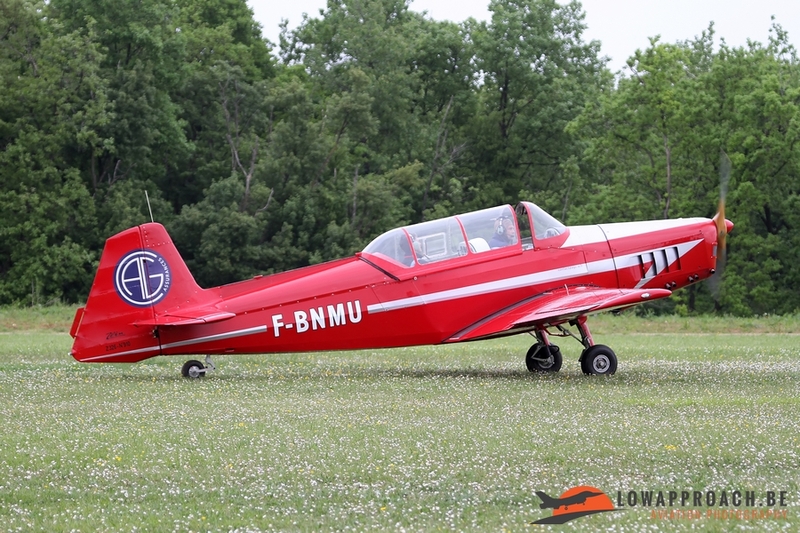 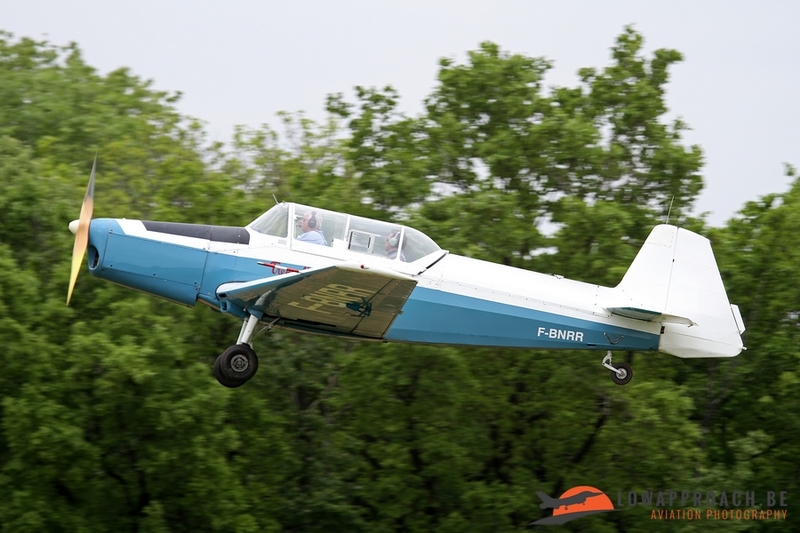 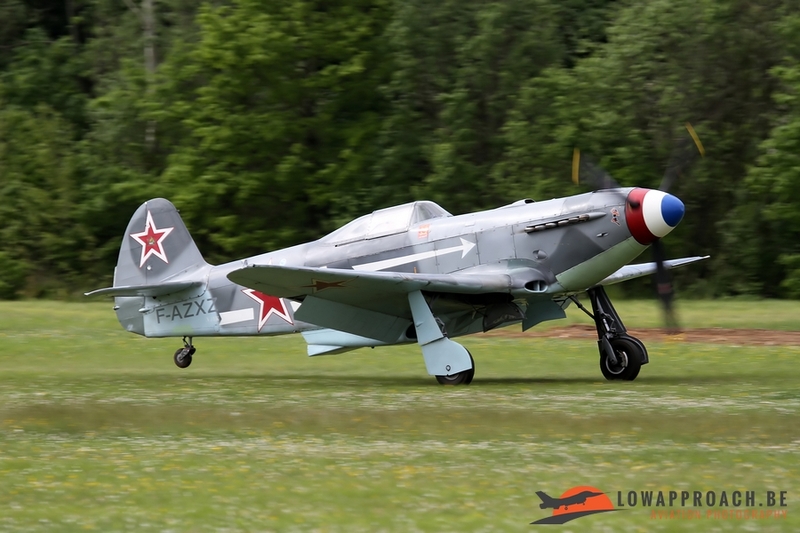 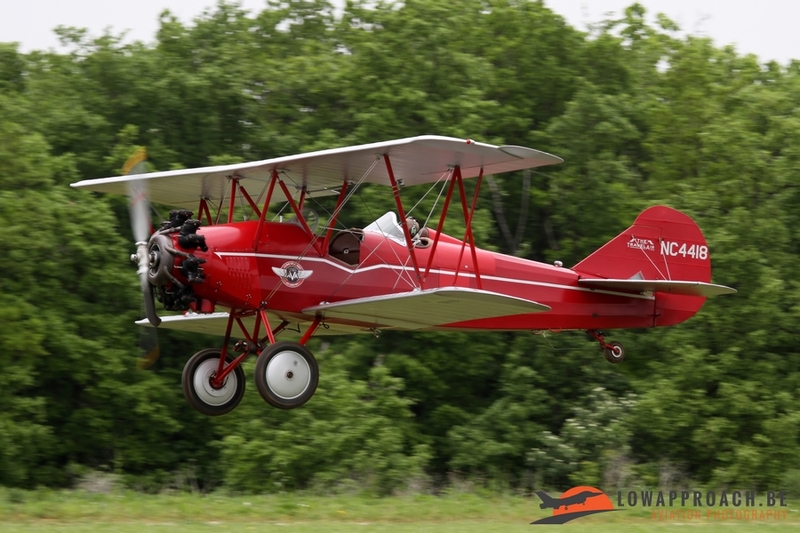 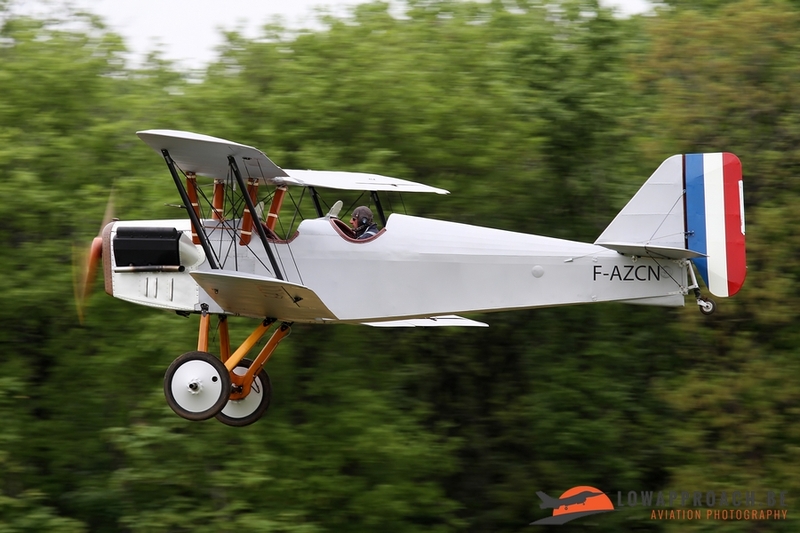 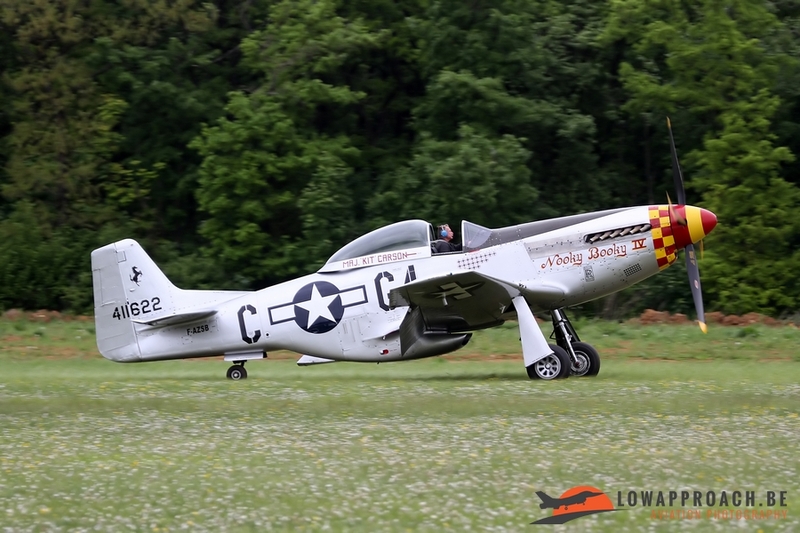 In the 3rd weekend of May the Amicale Jean Baptiste Salis organized its annual Temps des Hélices airshow at the airfield of La Ferté-Alais, just south of Paris. 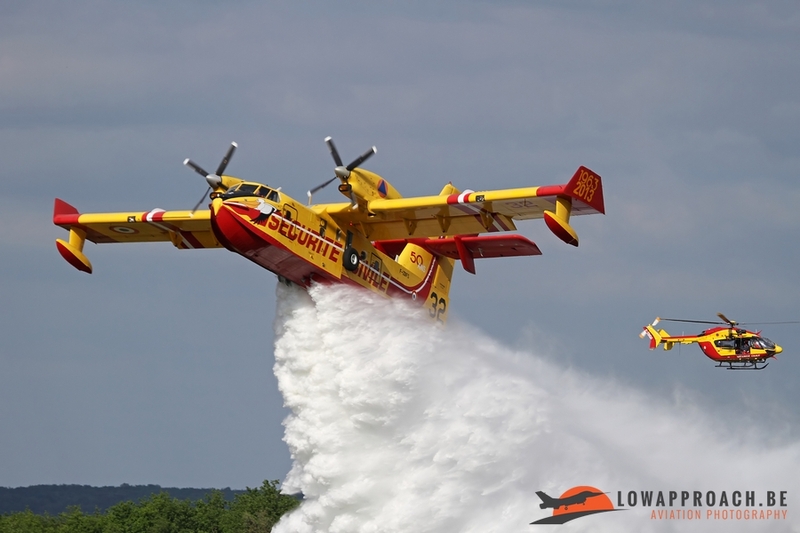 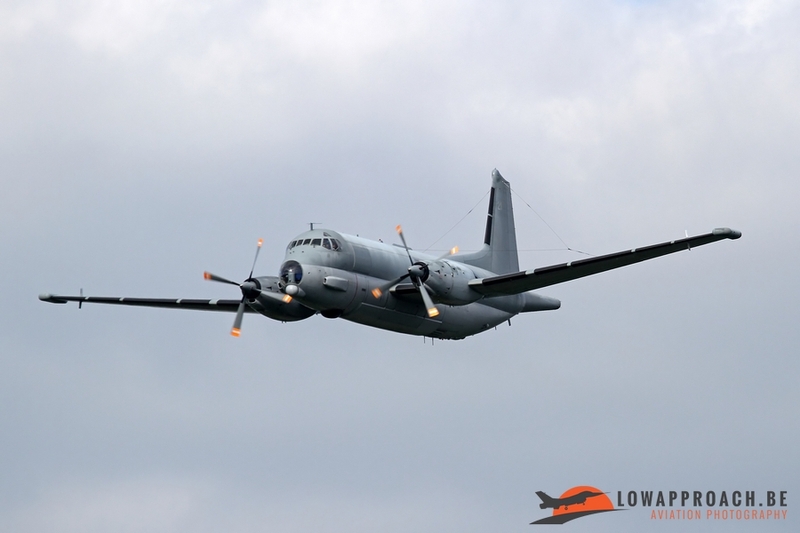 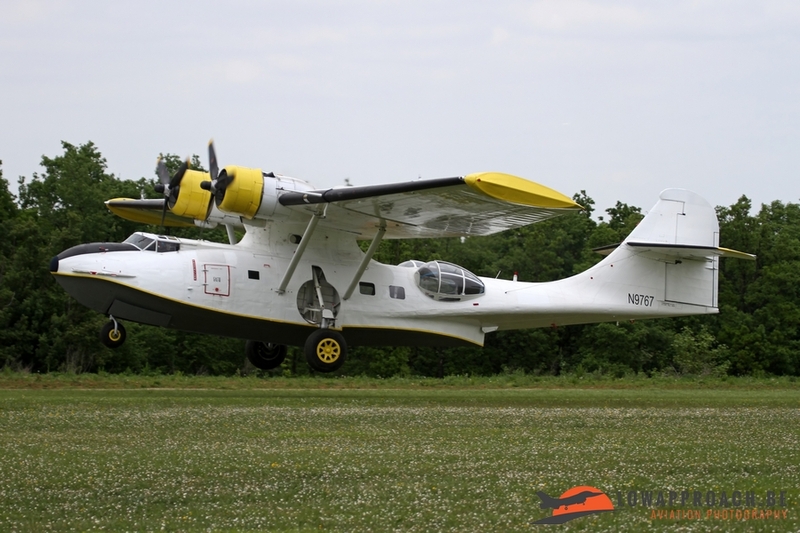 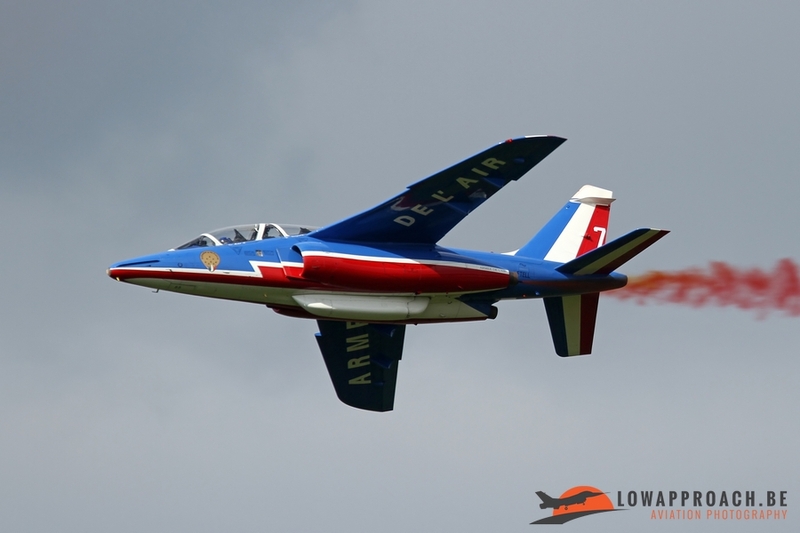 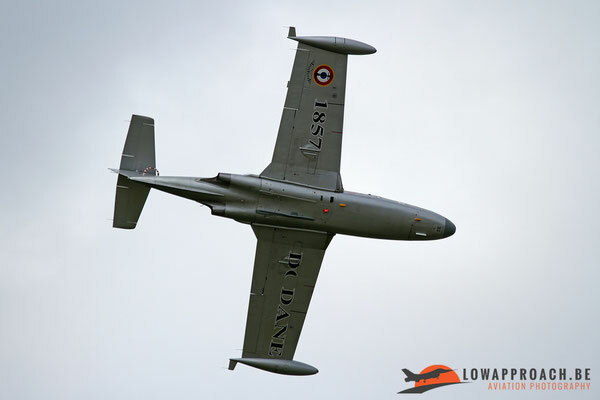 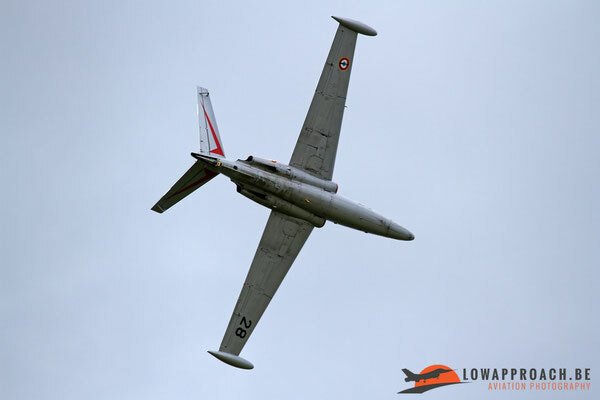 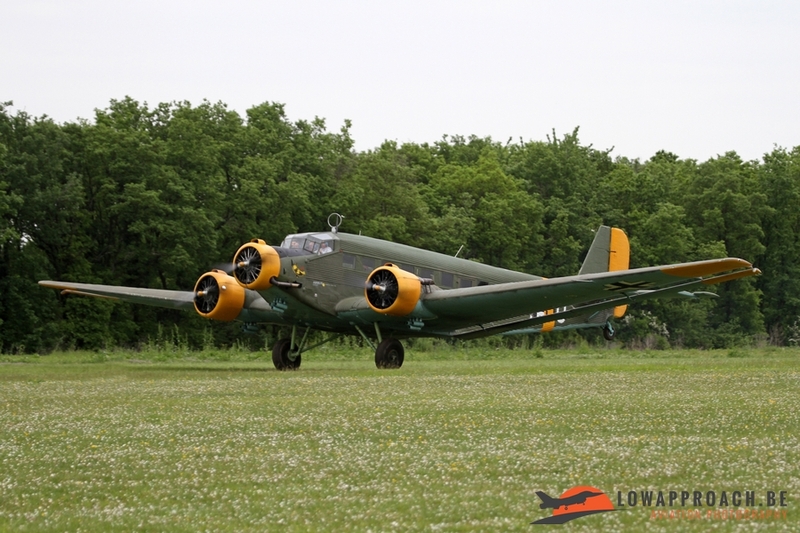 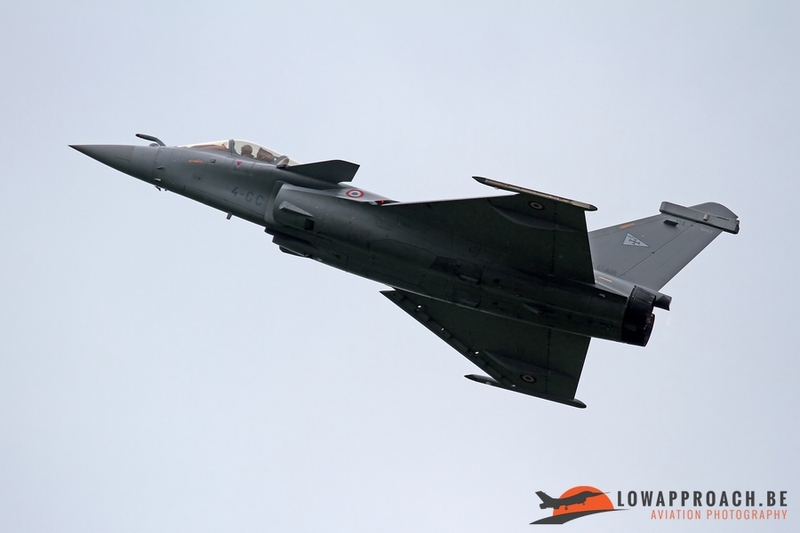 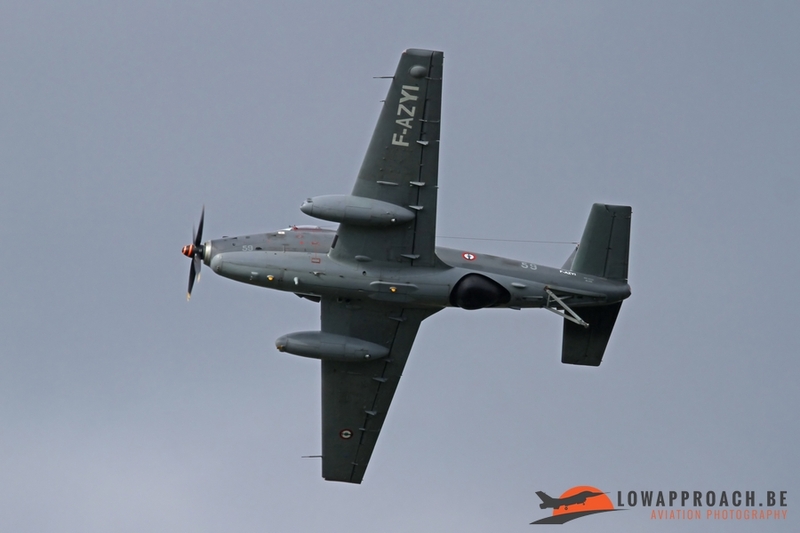 This airshow is composed mainly by French owned and operated vintage aircraft, of which many are based at La Ferté. 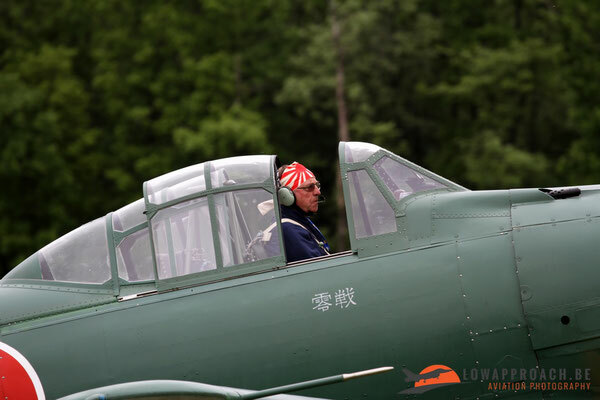 This year the weather conditions were not very favorable. 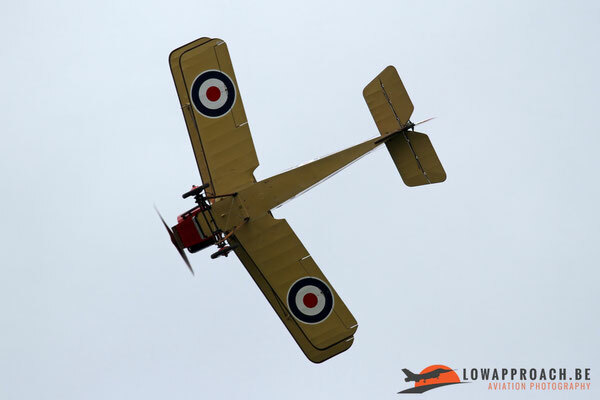 On the Saturday, the day I attended, it remained cloudy for most of the day with only a few short spells of sunshine late in the afternoon. The show started on a sad note. 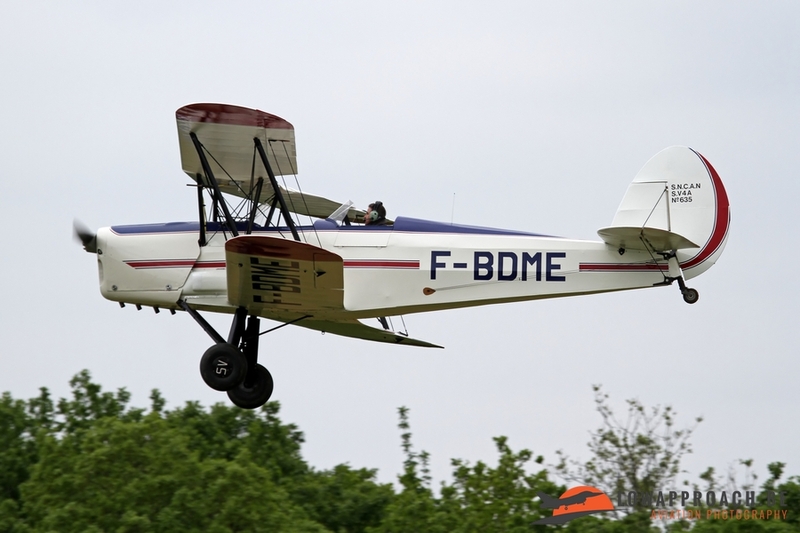 Since the last edition, Léon Mathis, one of the pillars of the AJBS, was killed in a tragic flying accident, while testflying a Ultra-Light Motorized Aircraft. 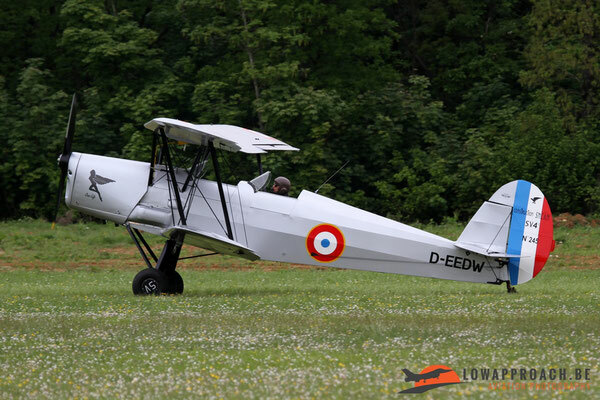 Léon regularly participated in his Zlin 526 AFS, and a formation was formed by fellow Zlin-pilots to commemorate him. 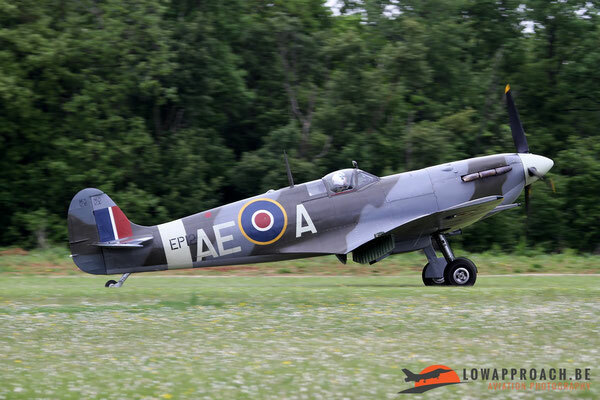 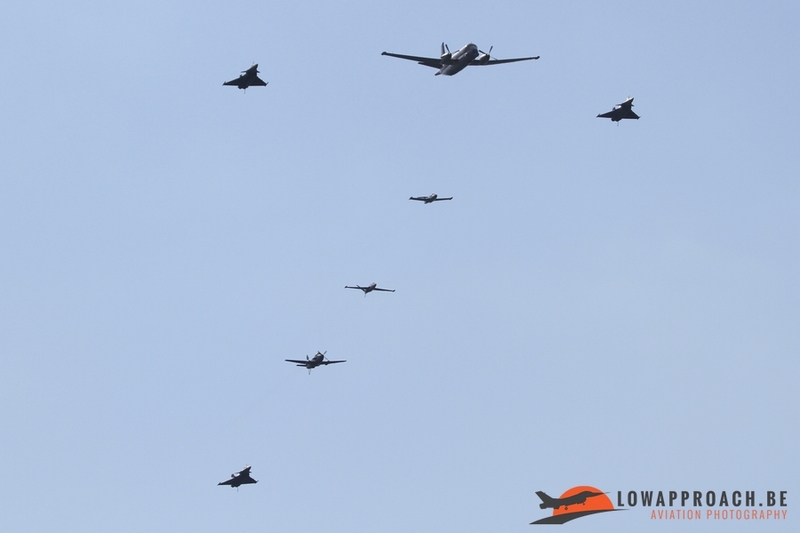 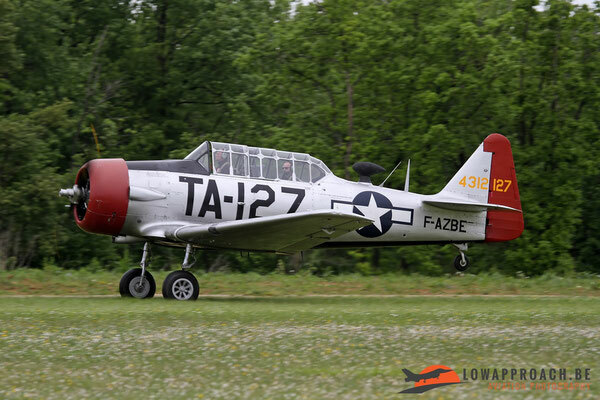 As I already explained in our rapport from the 2015 edition, this airshow tells the fascinating history of aviation. 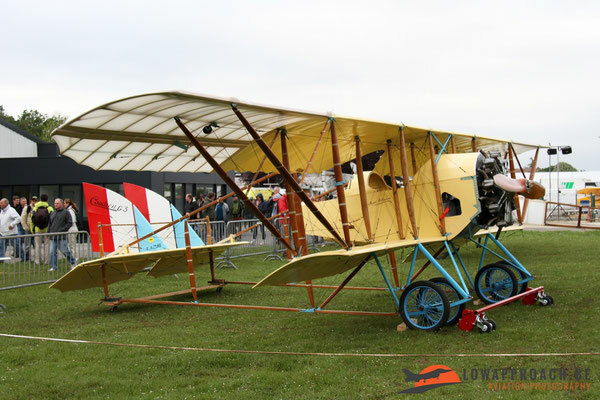 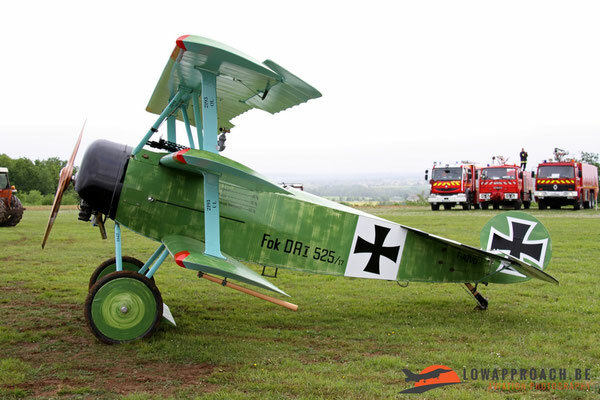 Due to the unfavorable weather the oldest aircraft like the Blériot, Caudron and two Fokker replicas, a Dr.1 and a D.VII remained firmly on the ground, but could be admired in the morning when the public was allowed to visit the flight lines. 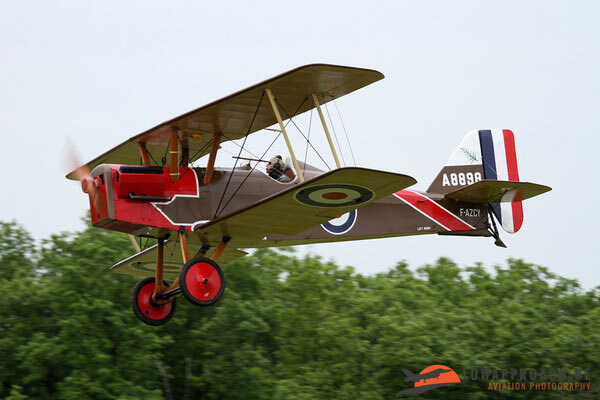 However a couple Royal Aircraft Factory SE5As supported by four more modern double-deckers, Belgian designed Stampe-Vertongen SV4s, provided the audience with sufficient action. Of note is that one of the Stampes, D-EEDW, could be seen regularly on Belgian airstrips for a few years, but it recently moved to France. 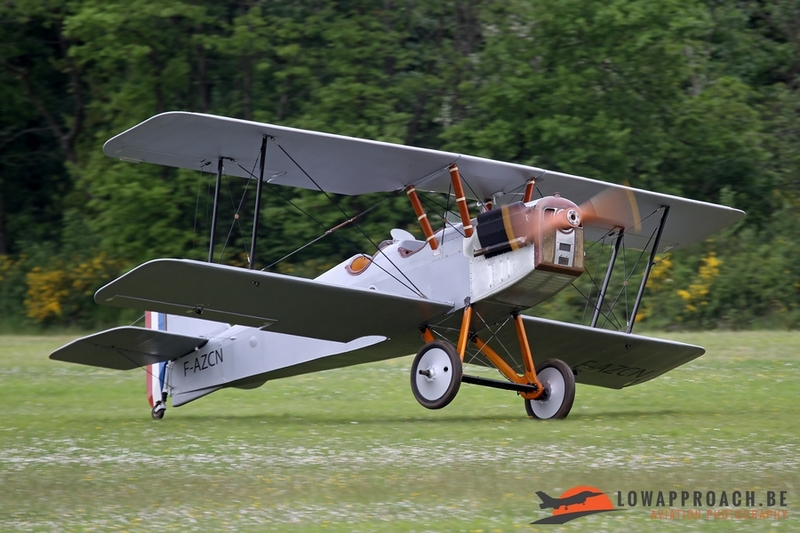 After the First World War aviation and technology evolved quickly. This was clearly illustrated by the nice collection of 1930s aircraft that were present at La Ferté. 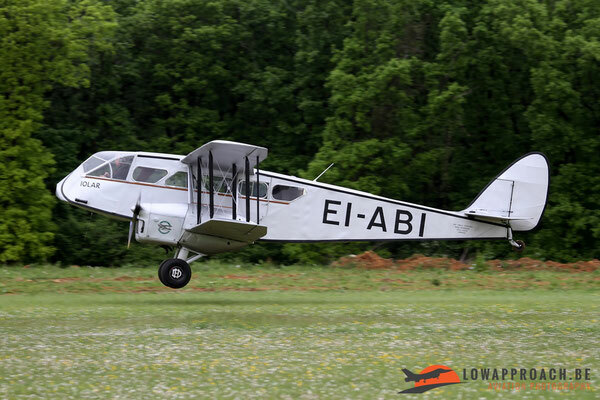 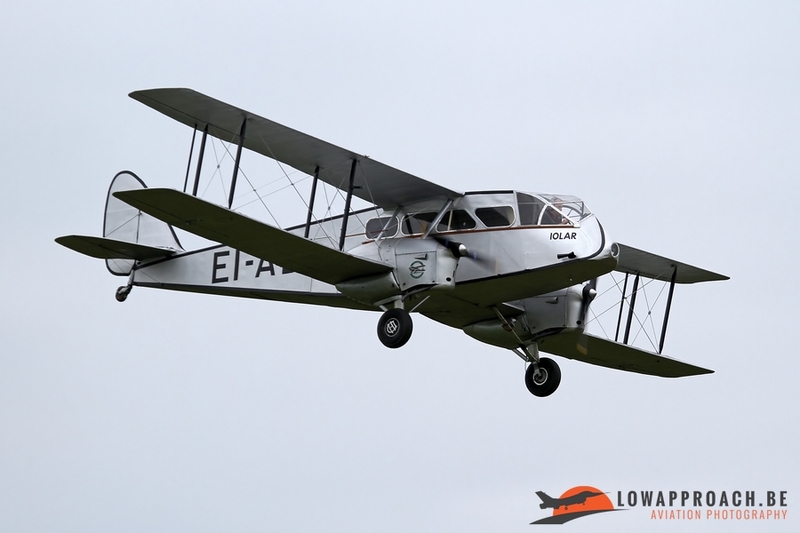 First we saw the De Havilland DH84 Dragon 2 ‘Iolar’, one of the predecessors of the better known Dragon Rapide. 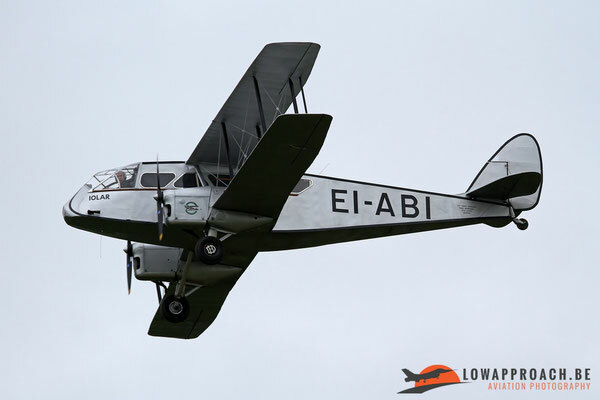 This aircraft is currently owned and operated by the Irish Historic Flight on behalf of Aer Lingus and commemorates the first regular service operated by Aer Lingus between Dublin and Bristol. 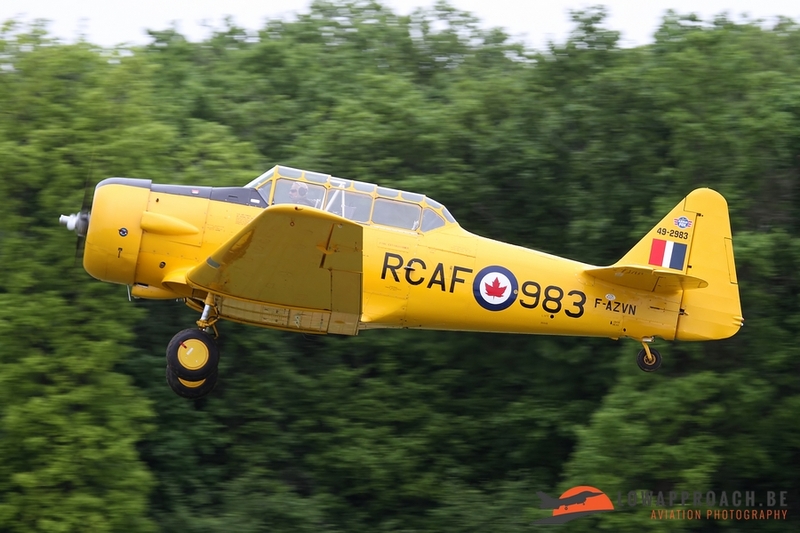 Other aircraft on show from this era were a couple of rare Waco’s, a UPF7 and a Type 10. 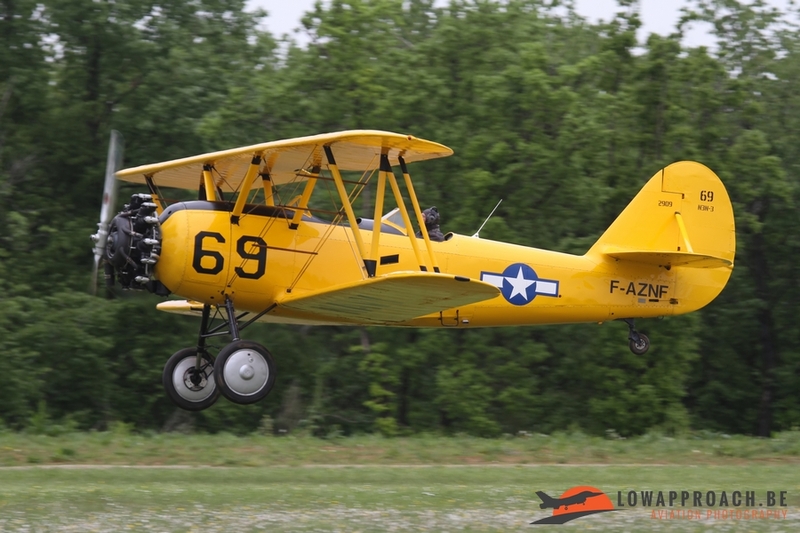 To complete the line-up there were a Naval Aircraft Factory N3N-3, a Curtiss-Wright TravelAir 4000 and a Laird LC-RW300 Speedwing. 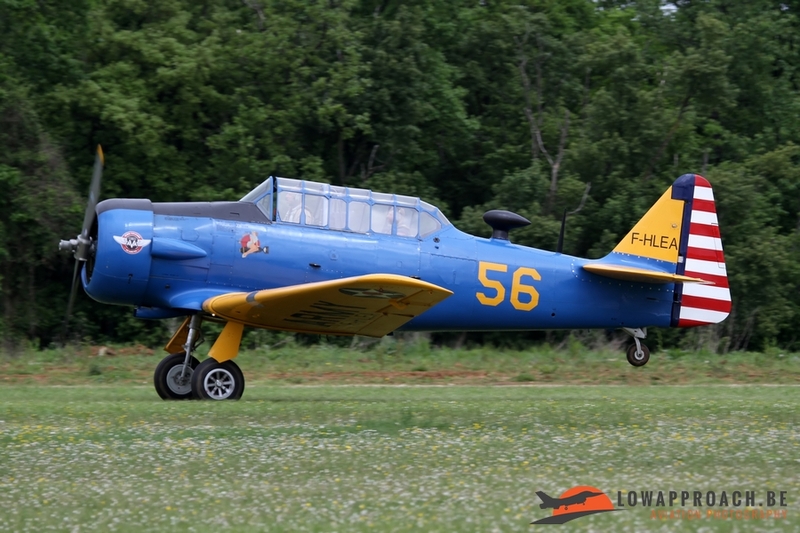 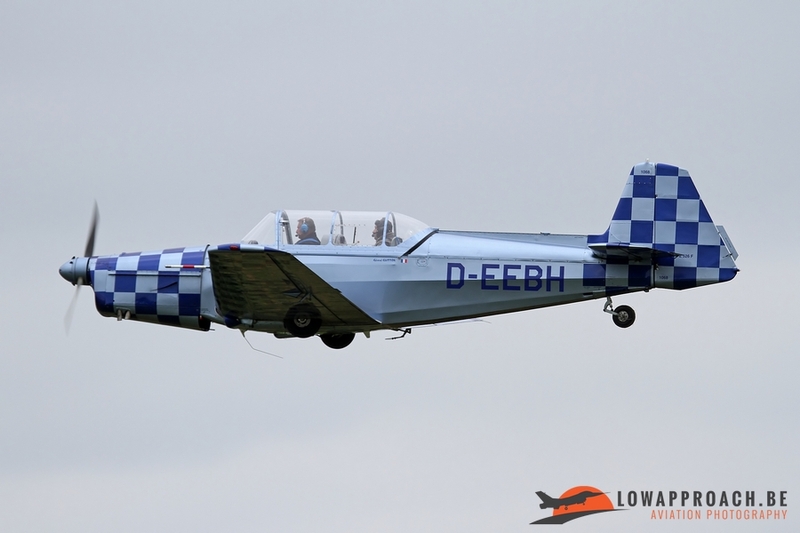 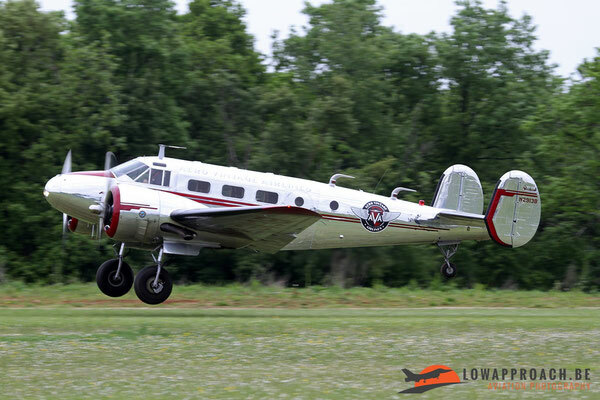 Most modern aircraft was the Beech D18S which was recently acquired in the US and is now based at La Ferté. 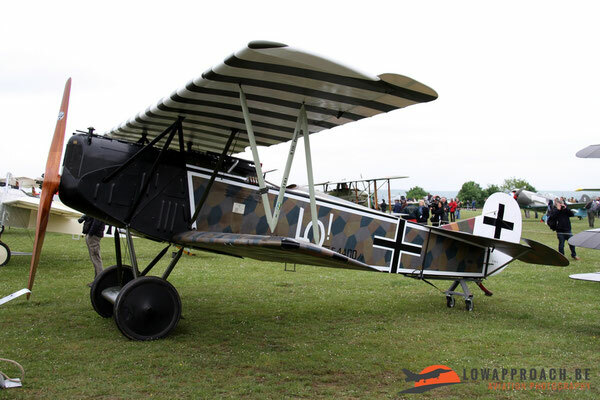 The 1930s ended abruptly with the outbreak of the Second World War. 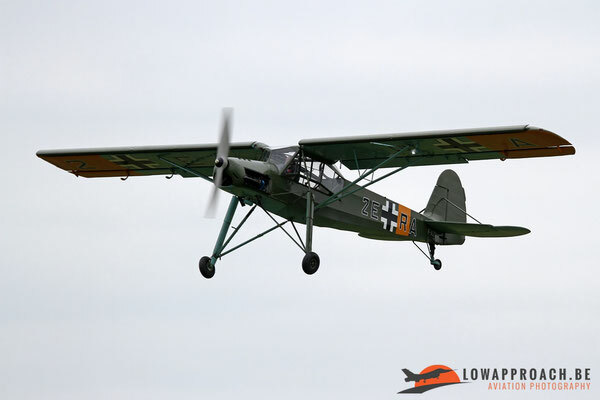 The first chapter is the invasion of France by the Germans, represented by a Junkers Ju52 and a Fieseler Fi156 Storch. They were chased from the skies by the unique Curtiss H75C1 Hawk, the only original French Air Force aircraft from that period that is still airworthy today. 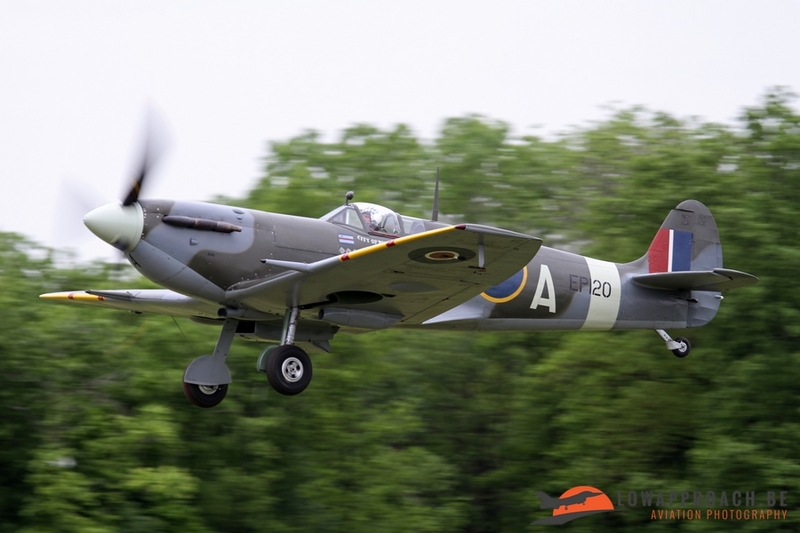 It was helped by a Supermarine Spitfire Mk.Vb and a North American P51D Mustang. The second chapter is the war in the Pacific. 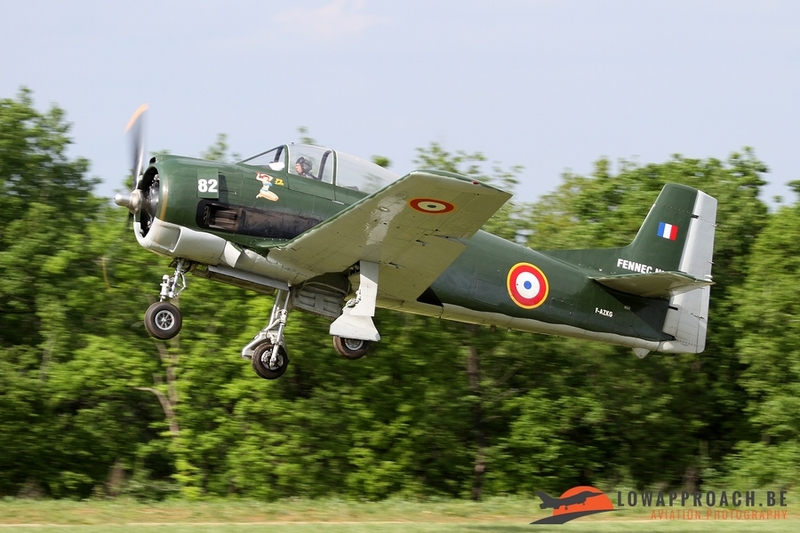 Traditionally this is evocated at La Ferté by the attack on Pearl Harbor. 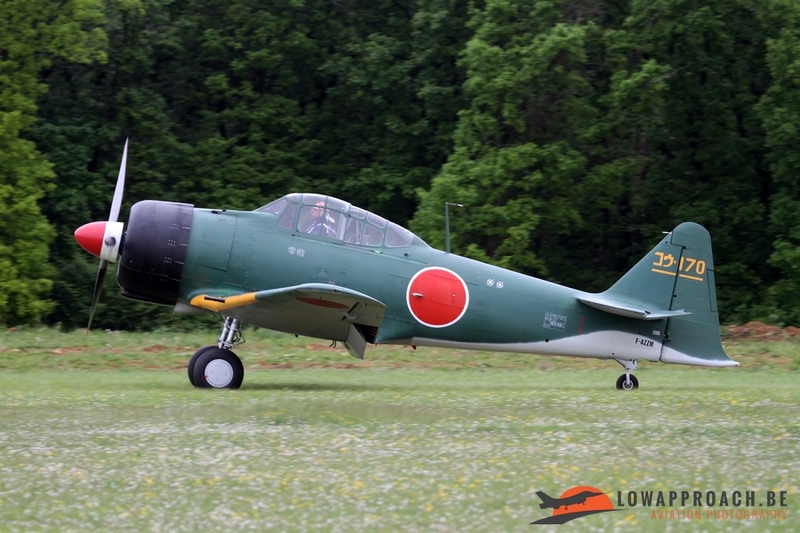 This year 7 North American Harvard (or variants) played the role of the attacking Japanese Navy. 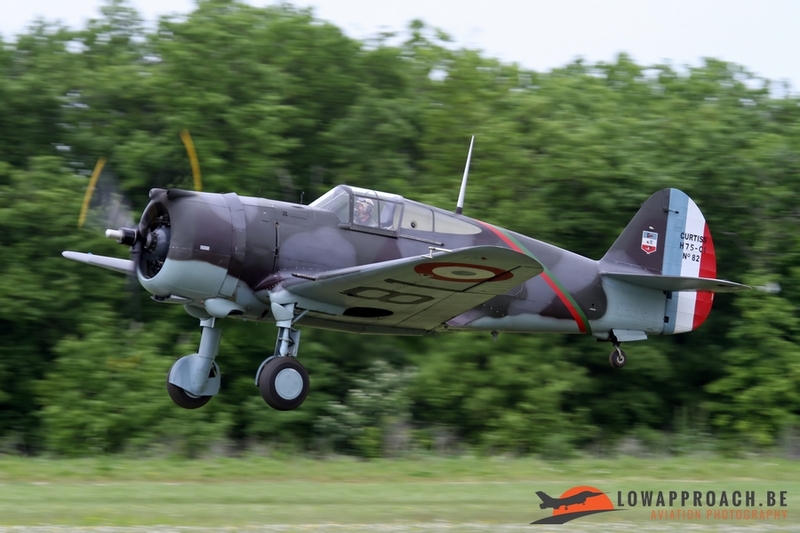 One of the Harvards is even modified to resemble a Mitsubishi Zero, and a second is a look-a-like Grumman Wildcat. 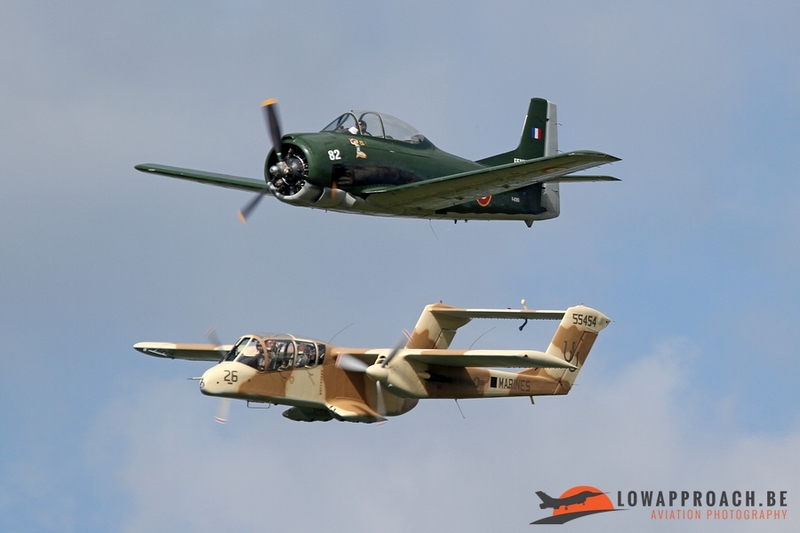 Opposition is given by a Curtiss-Wright P40N5 Kittyhawk and a Consolidated PBY5A Canso. Final chapter in La Ferté’s Second World War is the battle on the Eastern Front. 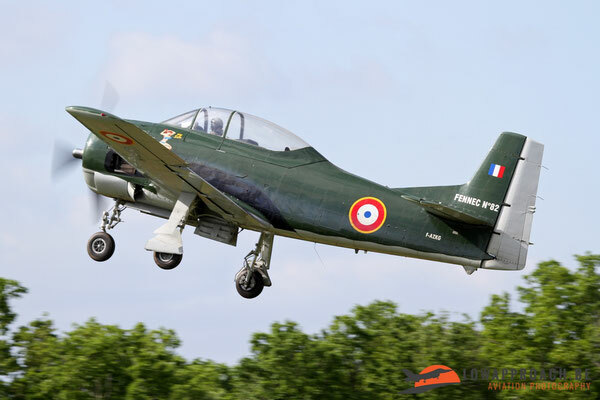 In 1943, Groupe de Chasse 3, part of the Free French Air Force joined the Russian Air Force to fight against Germany on the Eastern front. 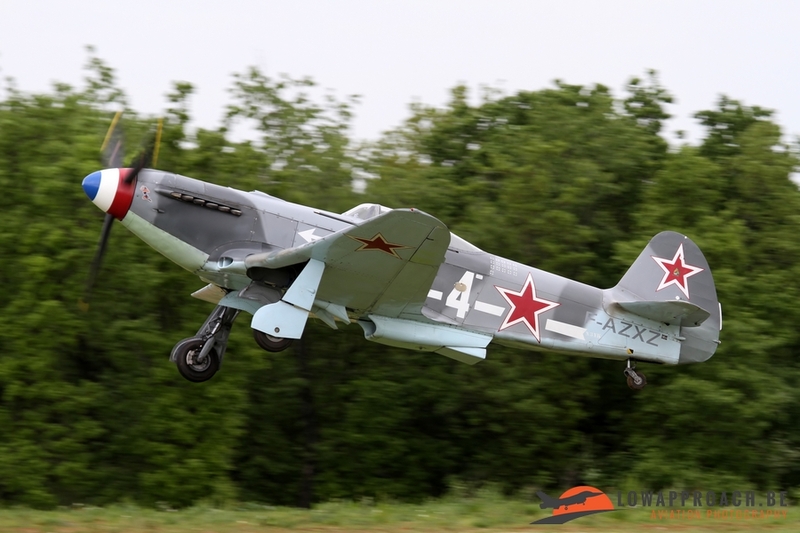 They were equipped with Russian Yakovlev-aircraft. In 1944 Joseph Stalin awarded the unit the name ‘Niemen’ for its participation in the Battle of the Niemen River and the name ‘Normandie-Niemen’ was born. 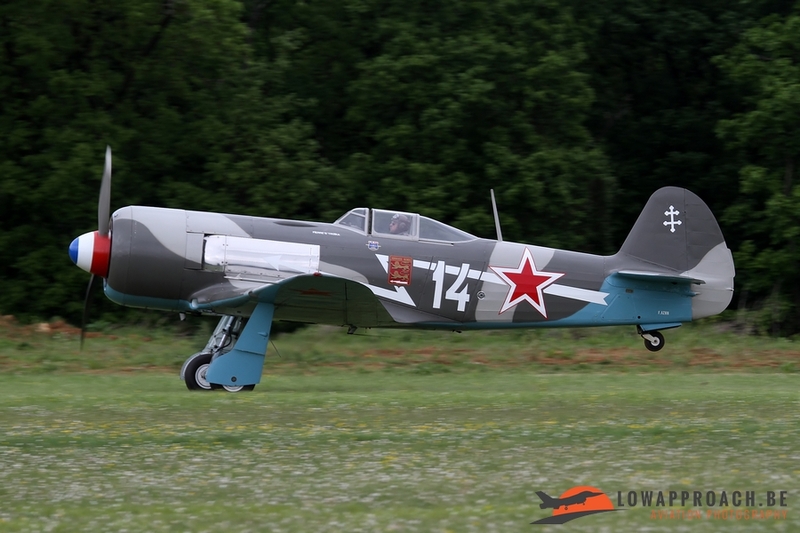 At La Ferté this period in French aviation history was illustrated by two Yakovlev Yak3UAs and one Yakovlev Yak11. Last war that was fought at La Ferté this year was the war in Vietnam. 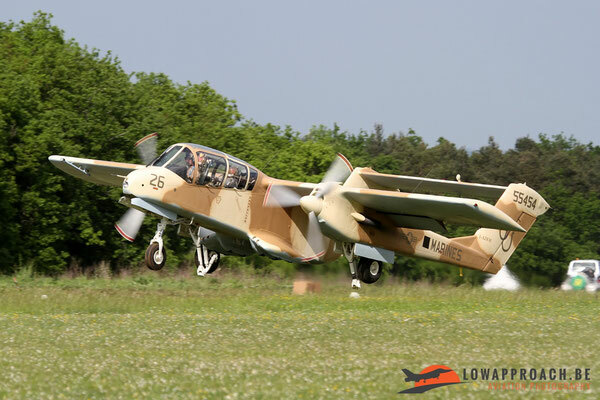 This part will be remembered by some by quite a spectacular take-off by a Rockwell OV10B Bronco, followed by a number of passes in formation with a North American T28A Fennec. 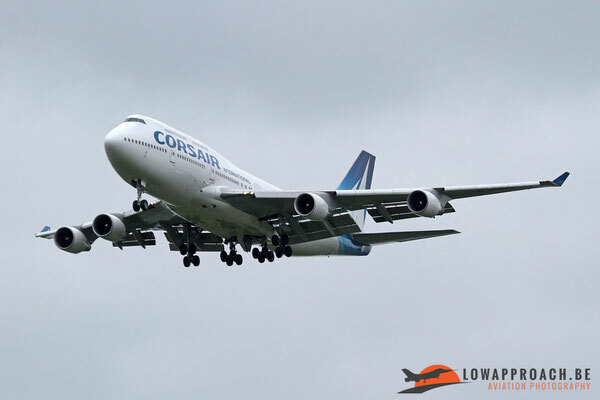 By far the largest aircraft in this years’ display was provided by Corsair. 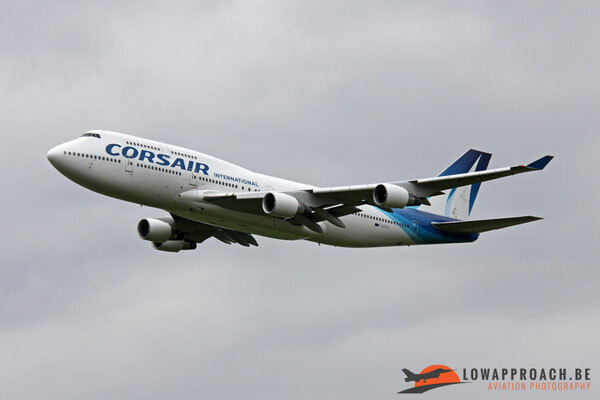 After we had a Boeing 737 displaying in 2015 this was beaten easily by a Corsair Boeing 747-422. The aircraft made a nice series of passes in various configurations as a tribute to Boeing, who celebrated their 100th Anniversary in 2016. 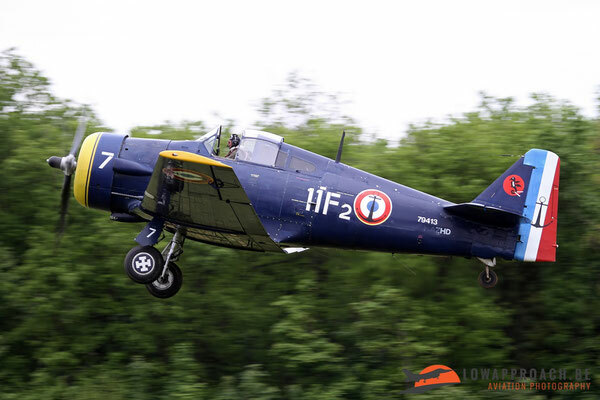 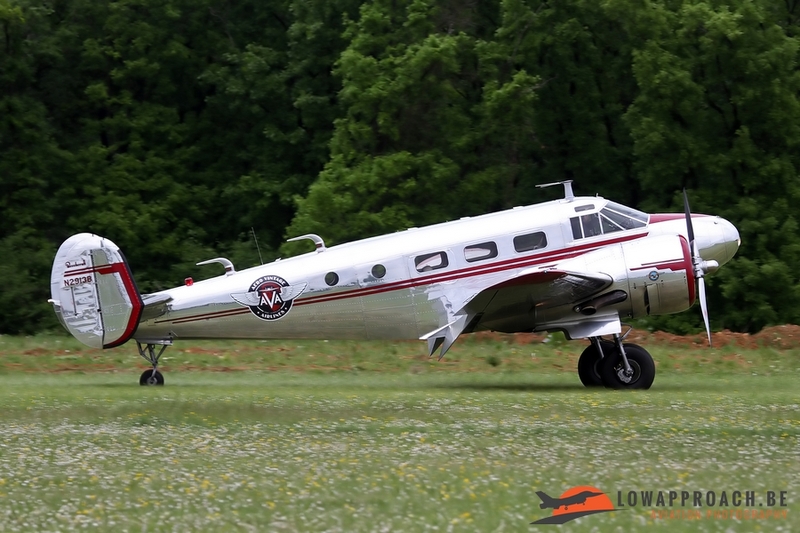 Off course the modern era is not forgotten during the La Ferté airshow. Various French services give their support to the event with fly-byes or demonstrations. 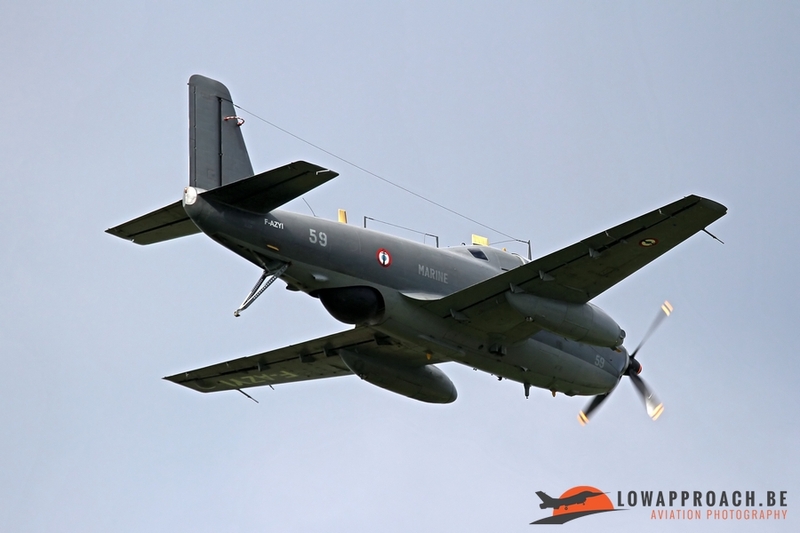 First on the list is the French Naval Aviation, or Aéronautique Navale, who traditionally is present with a large delegation. 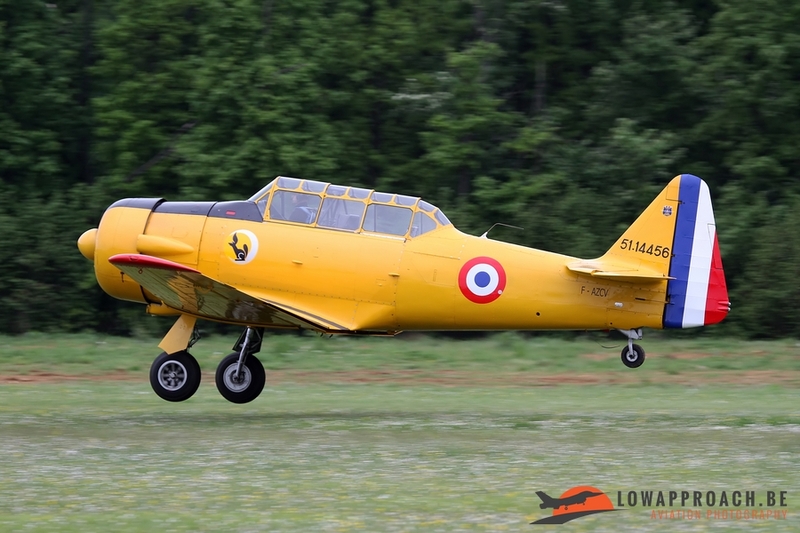 The past is depicted by a Breguet Br1050 Alizé, a Morane-Saulnier MS760A Paris and a Fouga CM175 Zephyr, the naval equivalent of the Fouga Magister. 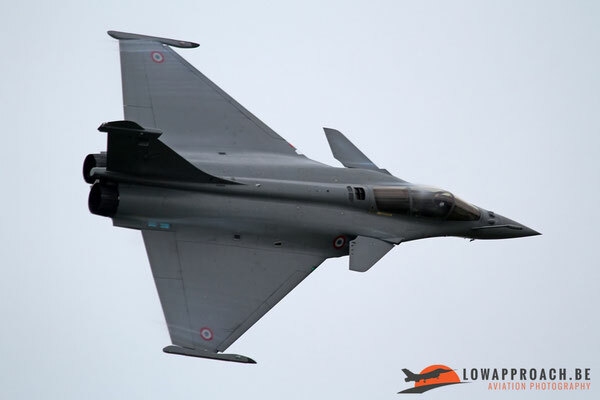 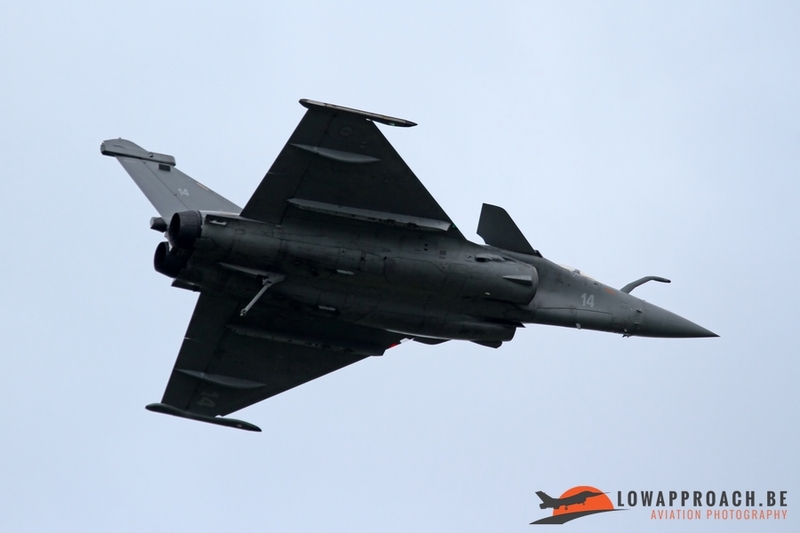 The present was a formation of two carrier-based Dassault Rafale M fighter aircraft and a Breguet ATL2 Atlantique NG, used for maritime patrol. 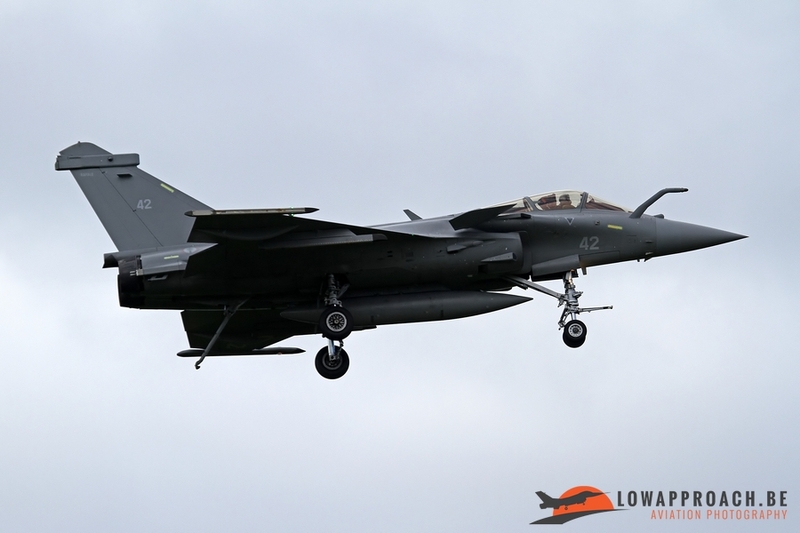 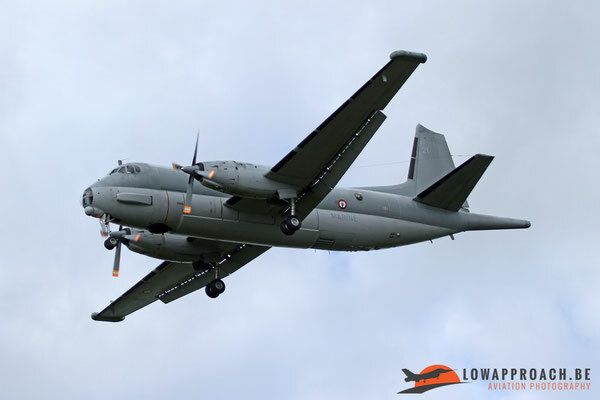 Off course the French Air Force, or Armée de l’Air, doesn’t want to miss this opportunity to show off its capabilities either. 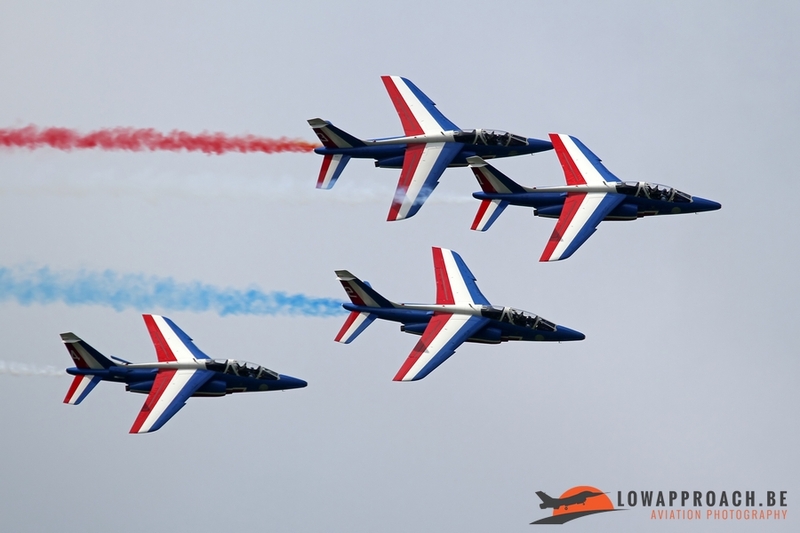 First in the line-up was the current World Champion in aerobatics flying the Extra EA330SC from the Equipe de Voltige, followed by the Dassault Rafale C solo-display and off course the Patrouille de France. 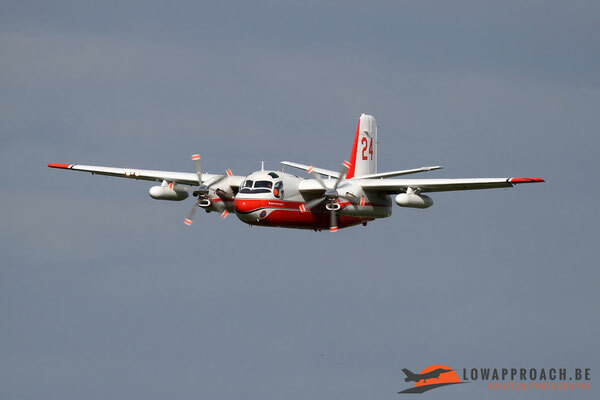 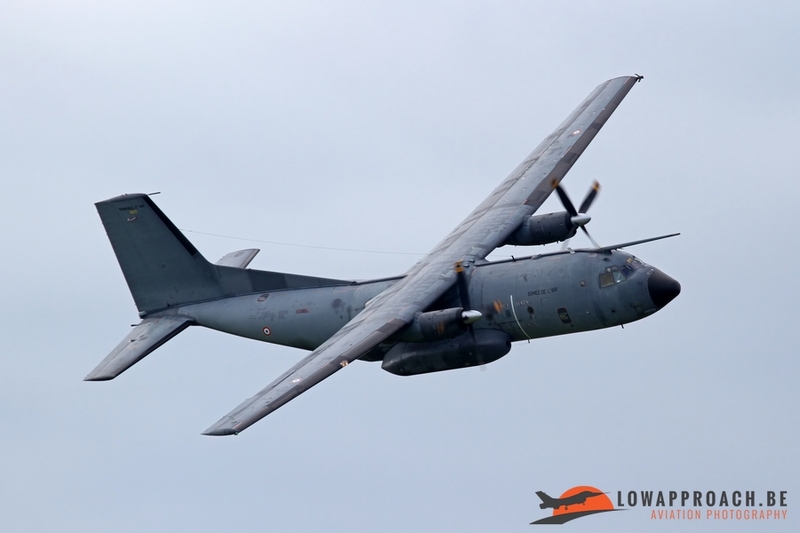 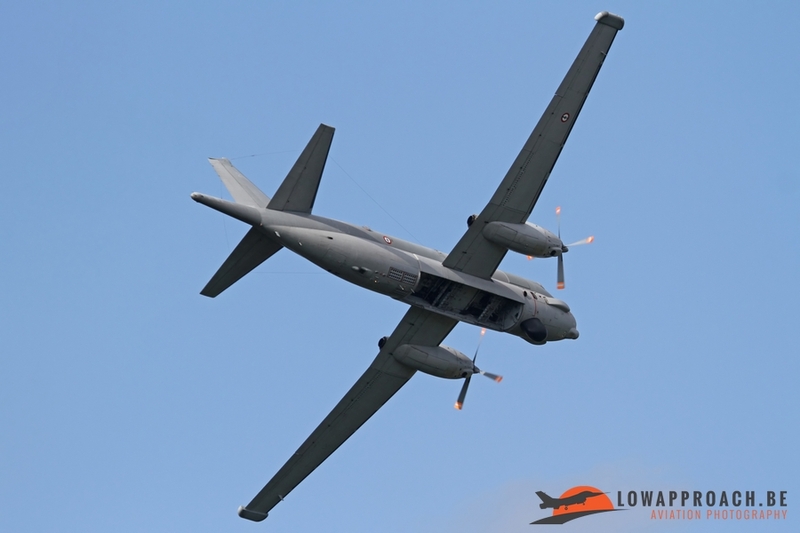 Literally every available aircraft was entered in this years’ display as even the Transall C130R, supporting the Patrouille, made a number of passes. 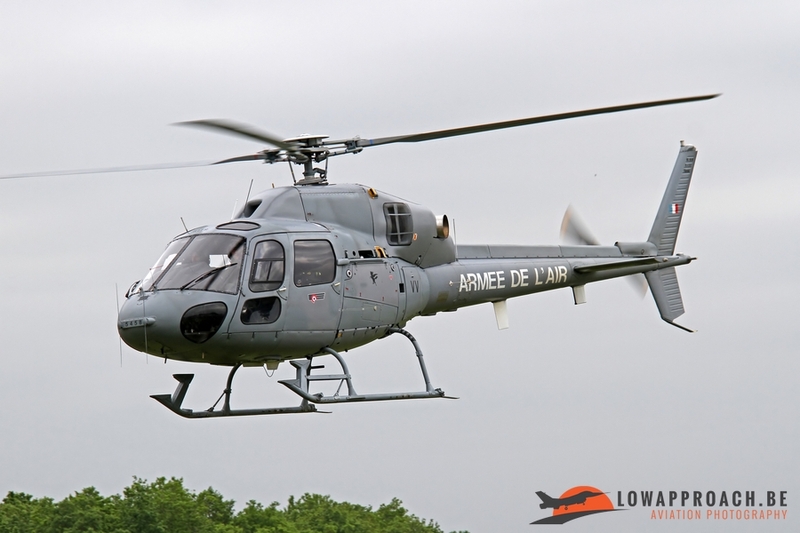 Nice cherry on the cake was a not so common Eurocopter AS555AN Ecureuil, who dropped off some military visitors to the airshow. 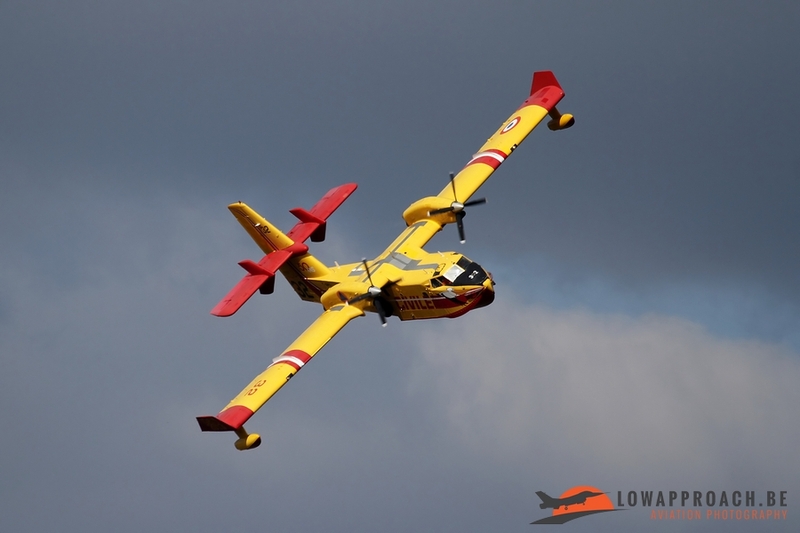 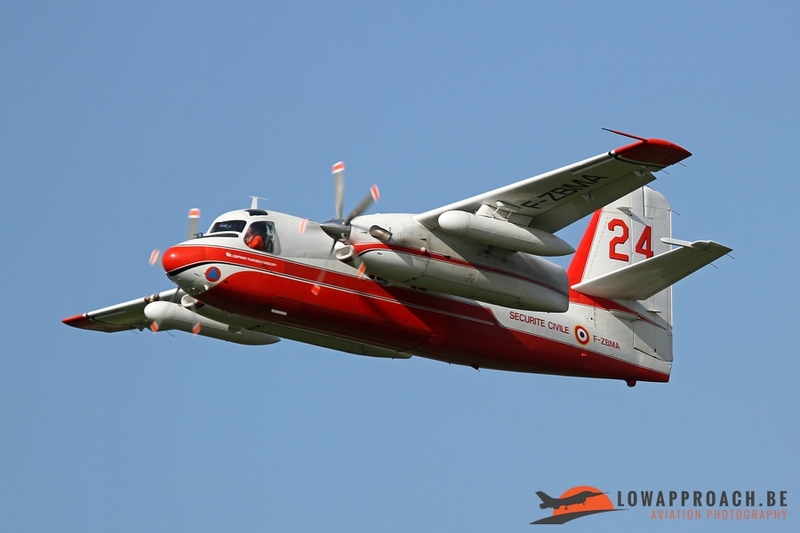 Final French Government Agency that provided aircraft was the Sécurity Civile. 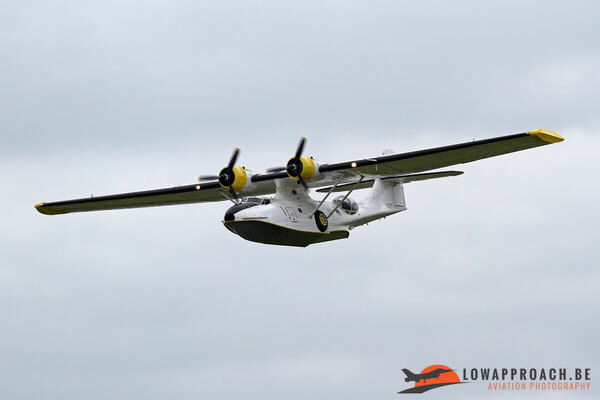 Like last year they were present with three aircraft who gave one of the most spectacular displays of the afternoon, and much to the likings of the present photographers they could perform in one of the short periods of sunshine of the afternoon. What was shown was a simulated operation to extinguish some forest fires. Guided by a Eurocopter EC145 helicopter a Grumman S2 Firecat and a Canadair CL415 dropped their water loads onto the fire, followed by a number of passes. 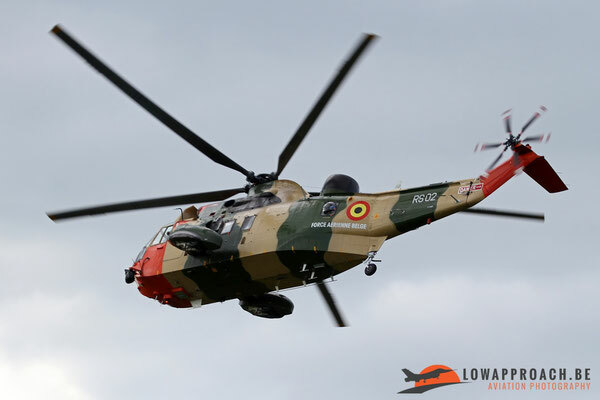 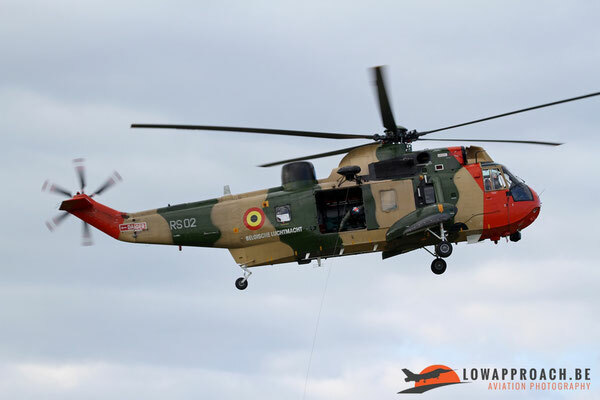 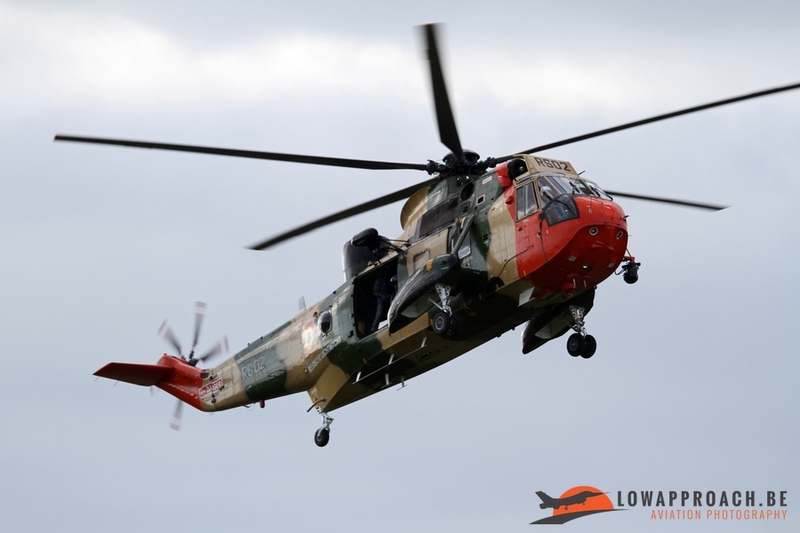 La Ferté rarely has displays from foreign Air Forces, but this year was an exception as the Belgian Air Force Westland Sea King Mk48 was one of the closing acts of the afternoon. 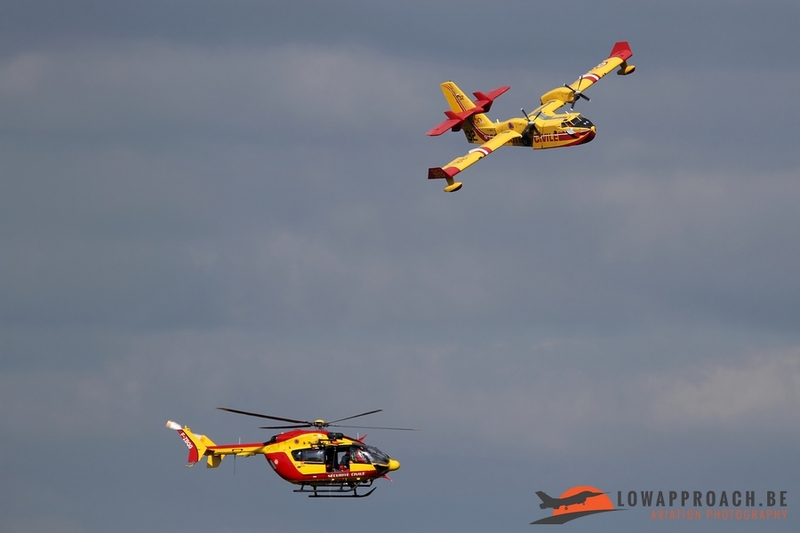 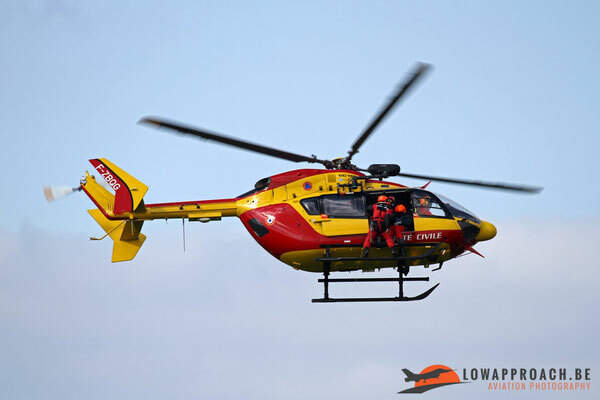 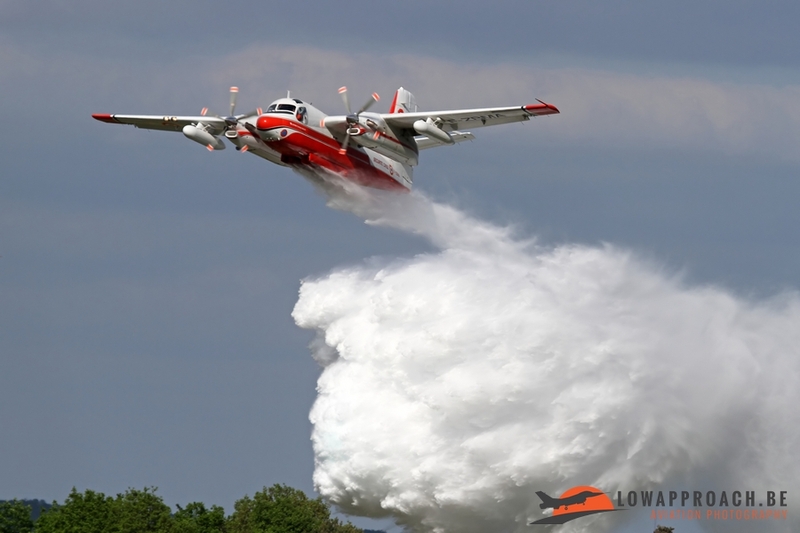 They did their well-known Search-and-Rescue demo, much to the likings of the French audience. 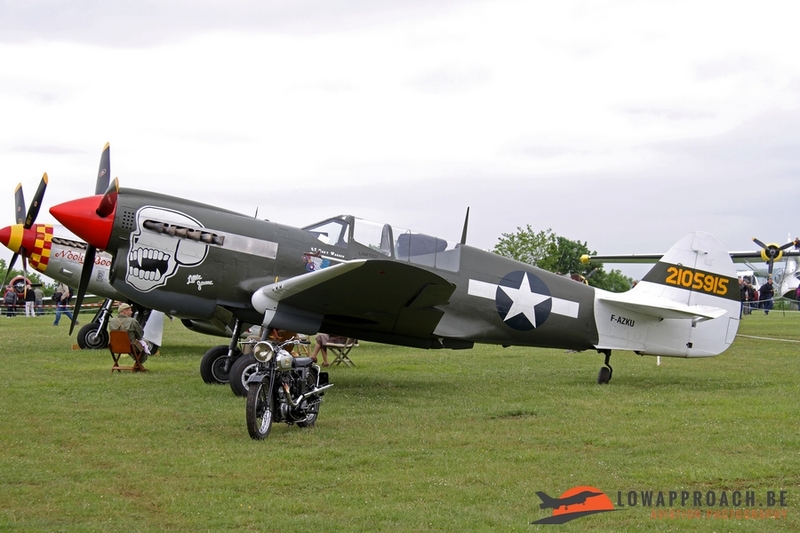 And we must admit it was a worthy participant to this event. 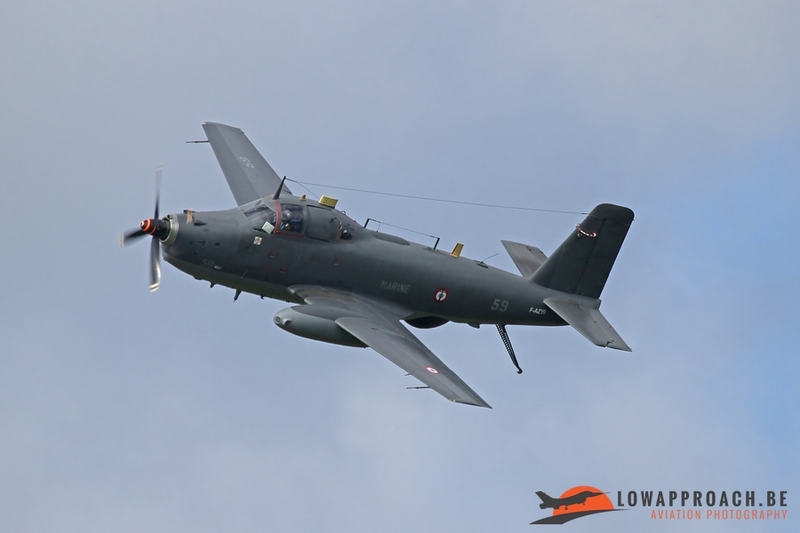 It’s spectacular, rarely seen in France and….. one has to admit, with almost 50 Years of service in the Belgian Air Force it’s somewhat becoming an oldtimer as well…. 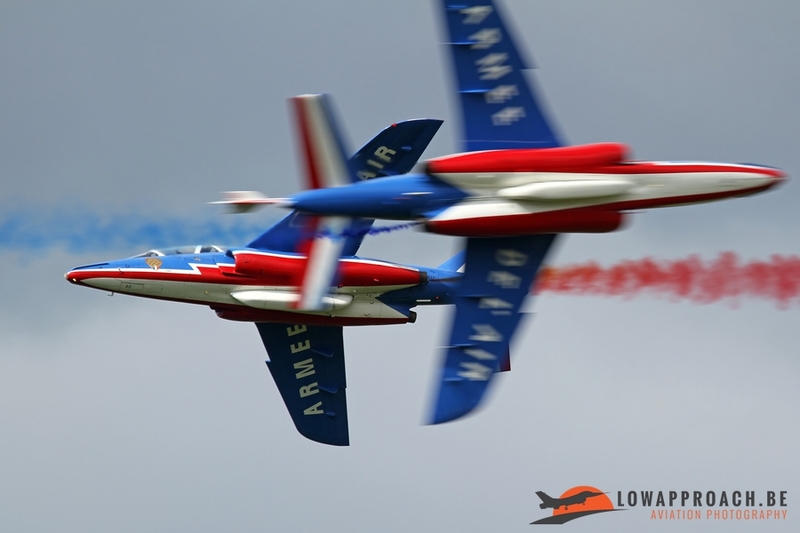 Like previous editions La Ferté-Alais ‘Temps des Hélices’ airshow is one of the highlights of the season. 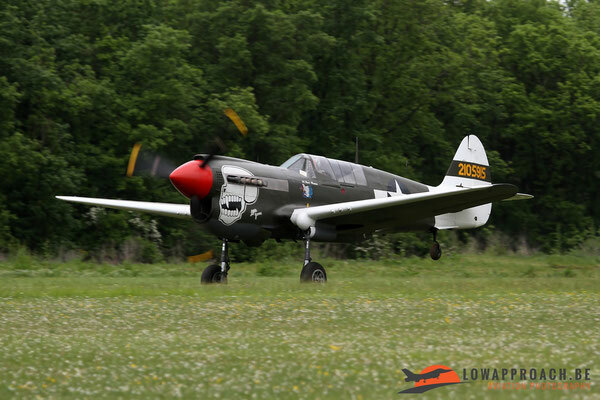 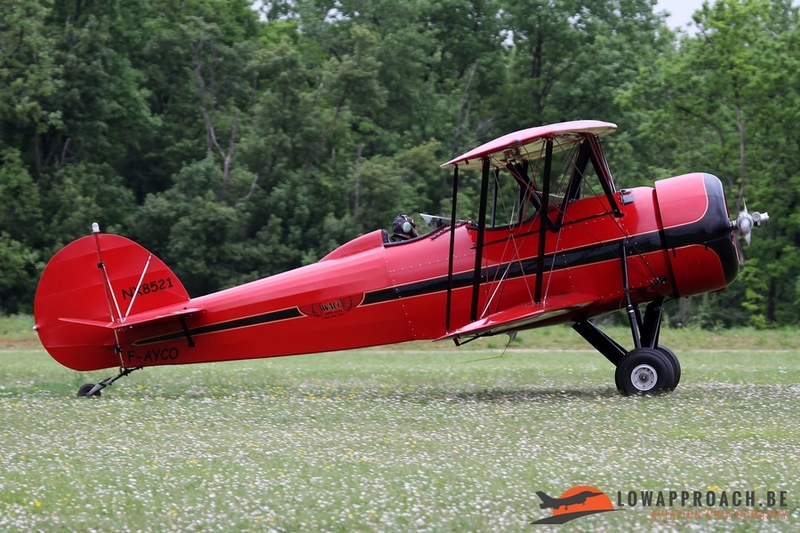 The friendly and relaxed atmosphere contributes a lot to this, but certainly the nice variety of aircraft does help a lot as well. Photography is quite easy at La Ferté. 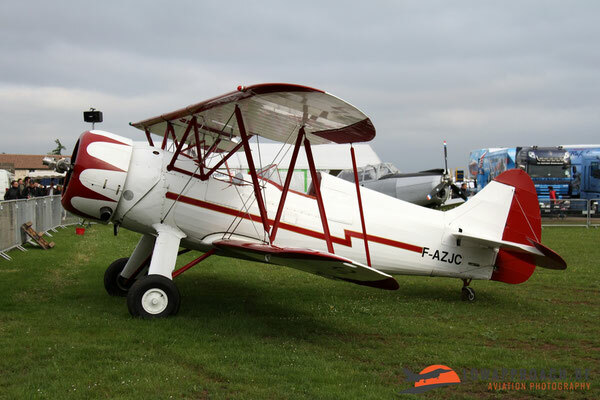 In the morning one is offered to visit the flightlines were a large number of participating aircraft can be photographed. Even visiting aircraft are lined up, so not a lot has to be missed. 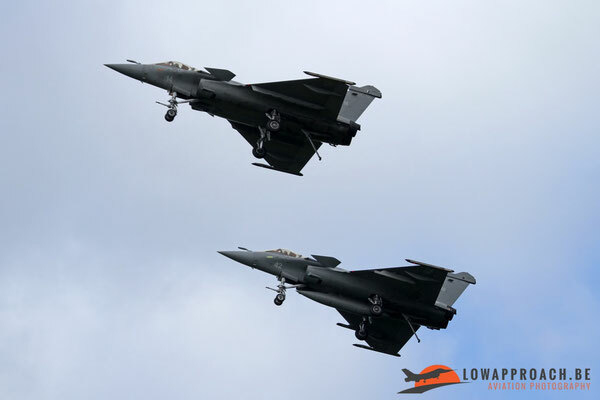 The larger aircraft and all the military aircraft operate from a larger airfield in the neighbourhood. 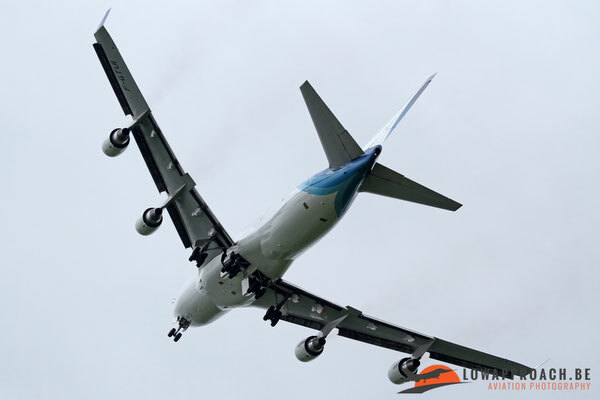 All aircraft perform quite close to the audience, so also there no real issues. After (or before, depending on the wind direction) their display the aircraft flying from La Ferté itself taxi in front of the audience, so to give you another opportunity to see them up close. 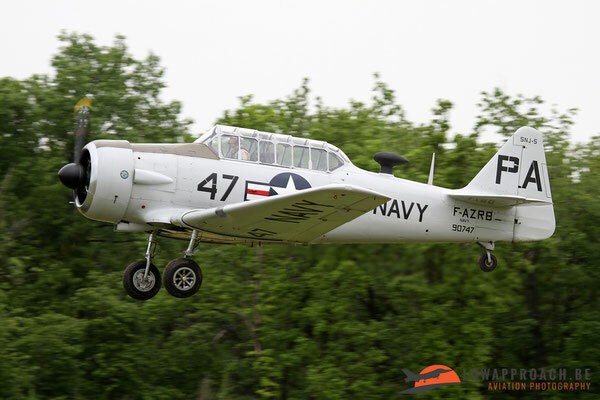 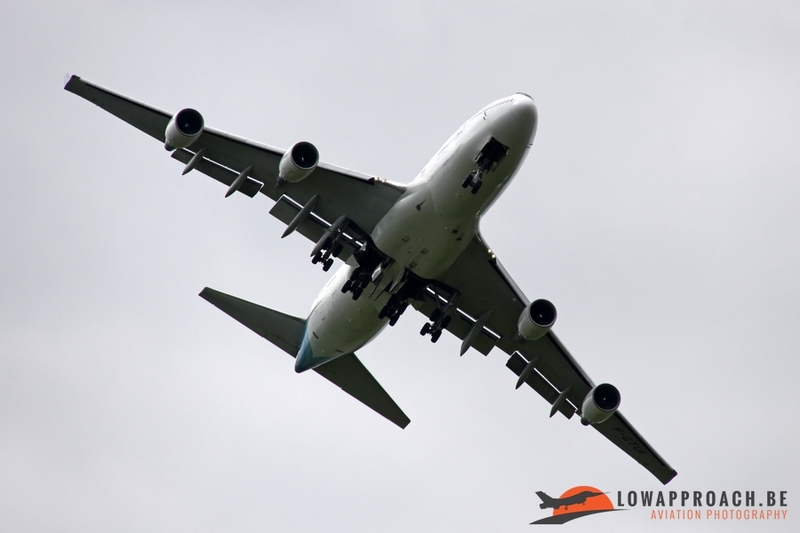 Best location to sit is slightly to the left of the main stage, as some aircraft do not use the full length of the grass runway. Like said this year the weather didn’t really participate, but let’s hope that next year it will be sunny again.